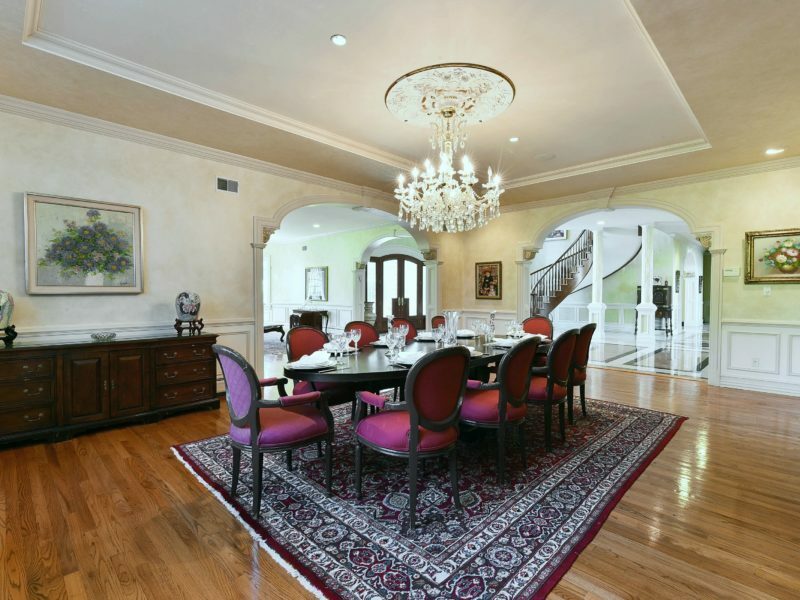 Welcome to this luxurious manor estate designed by renowned architects Zampolin & Associates. 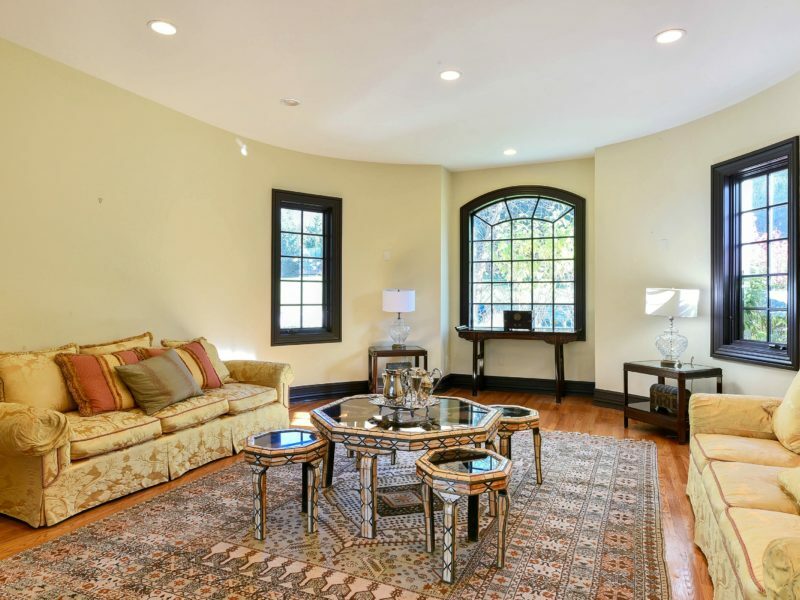 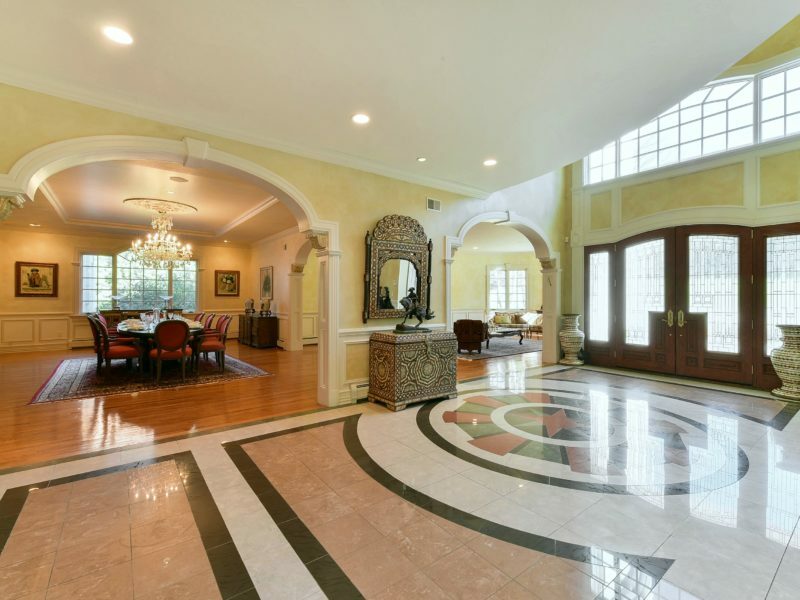 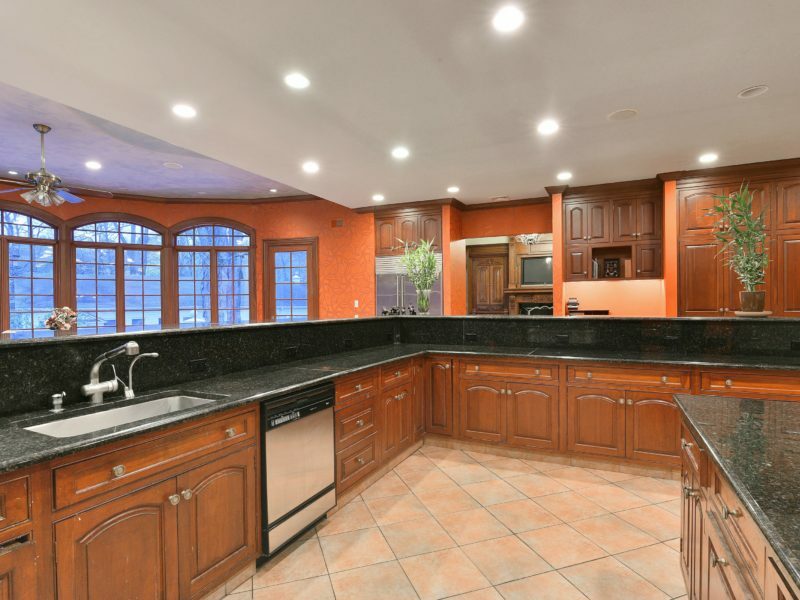 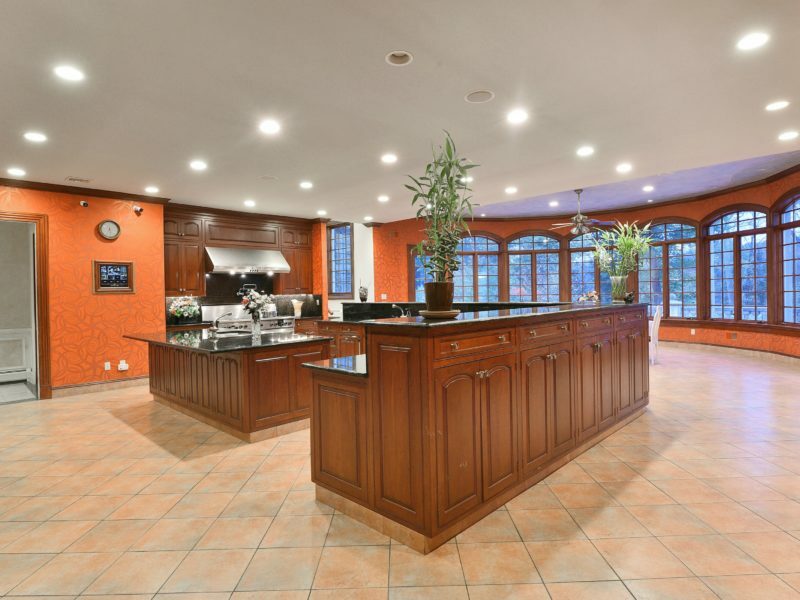 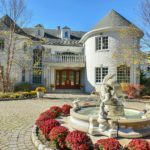 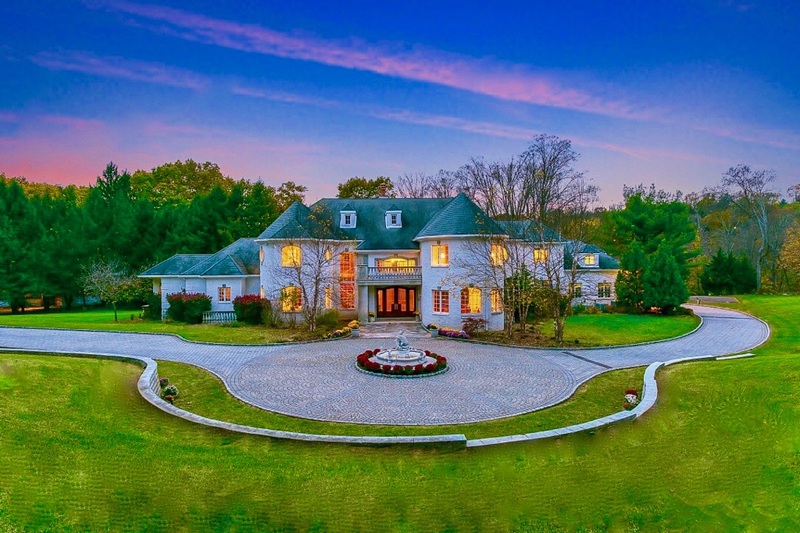 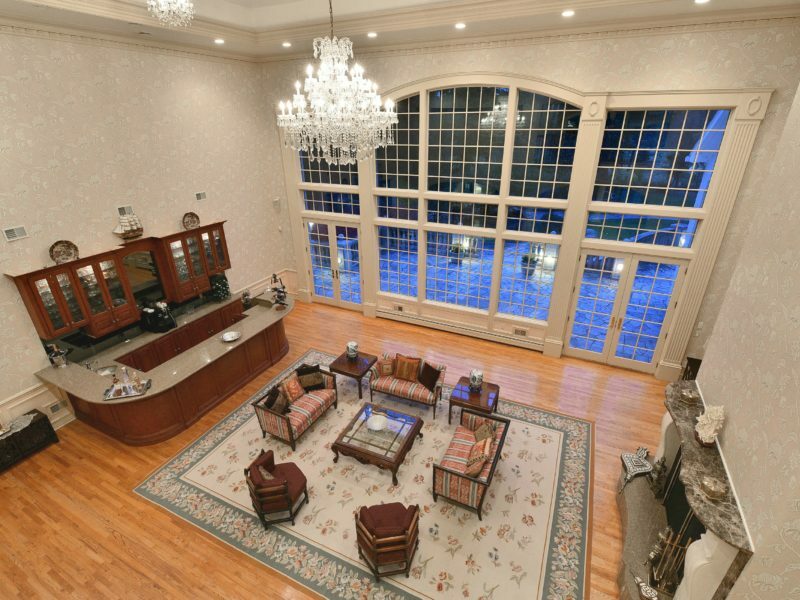 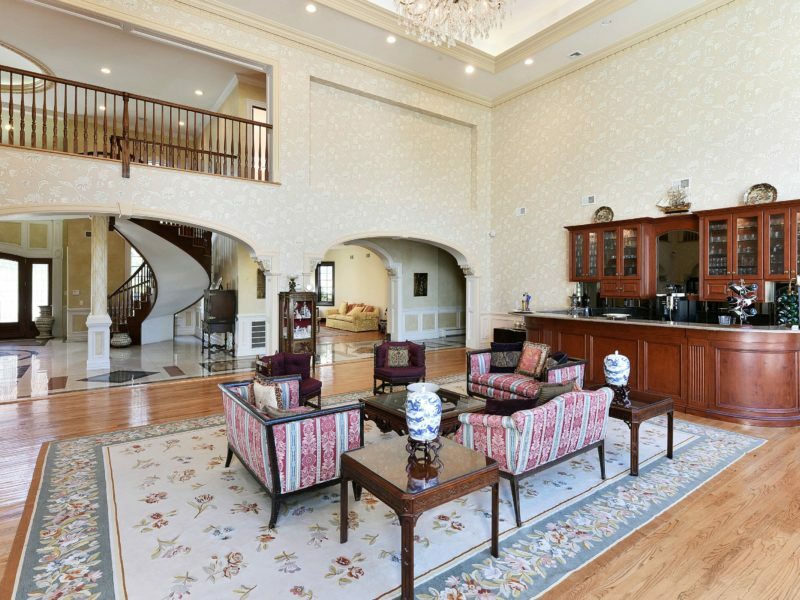 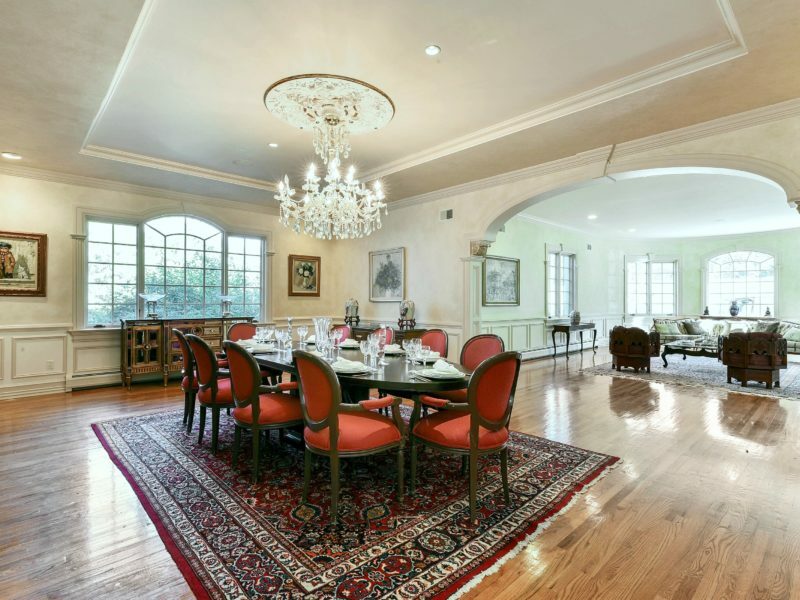 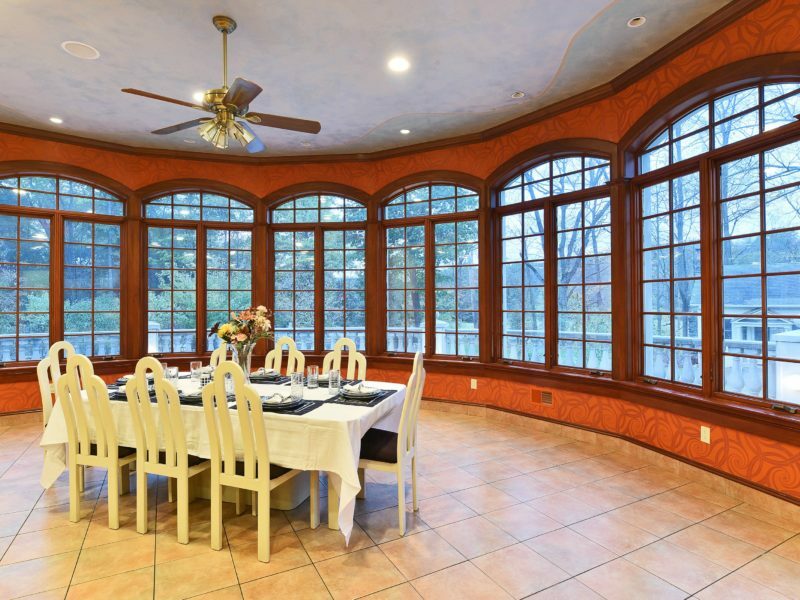 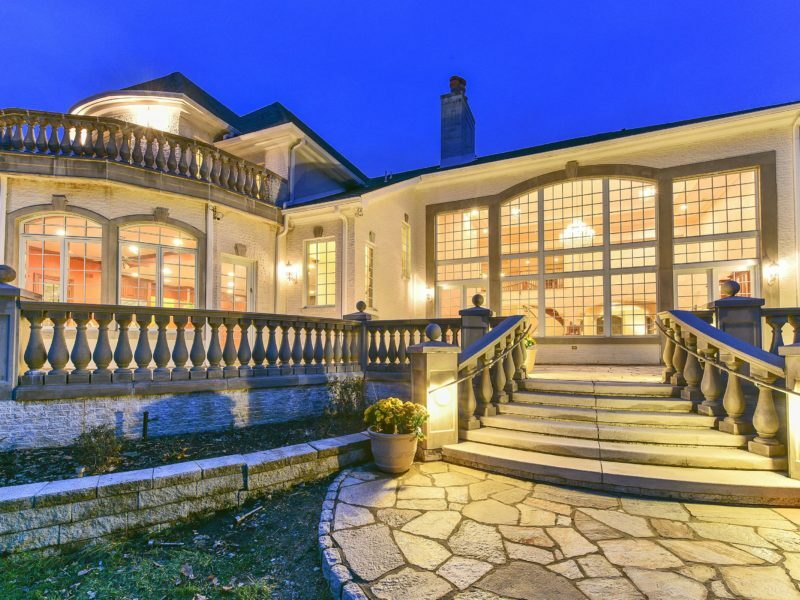 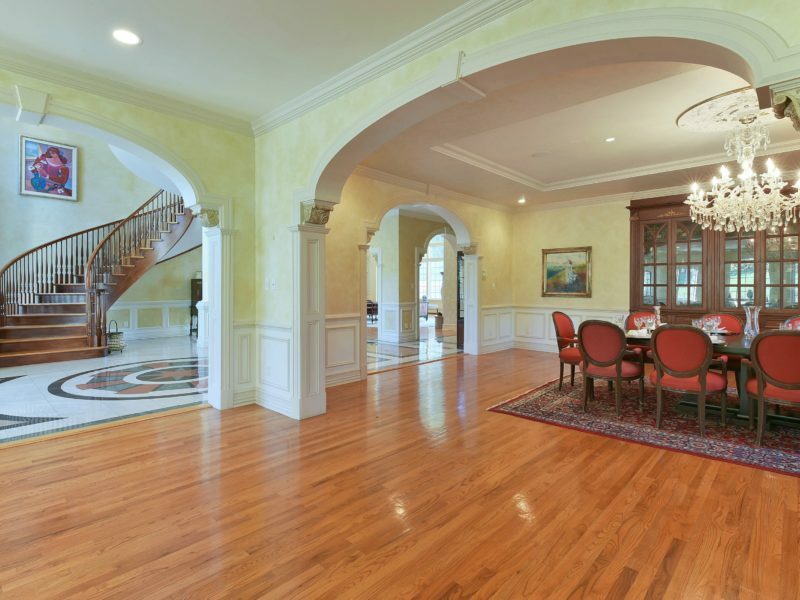 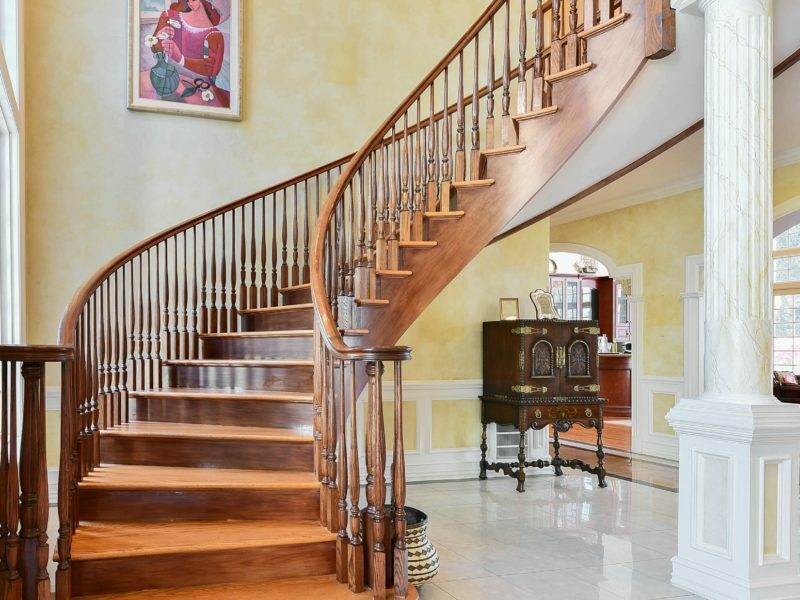 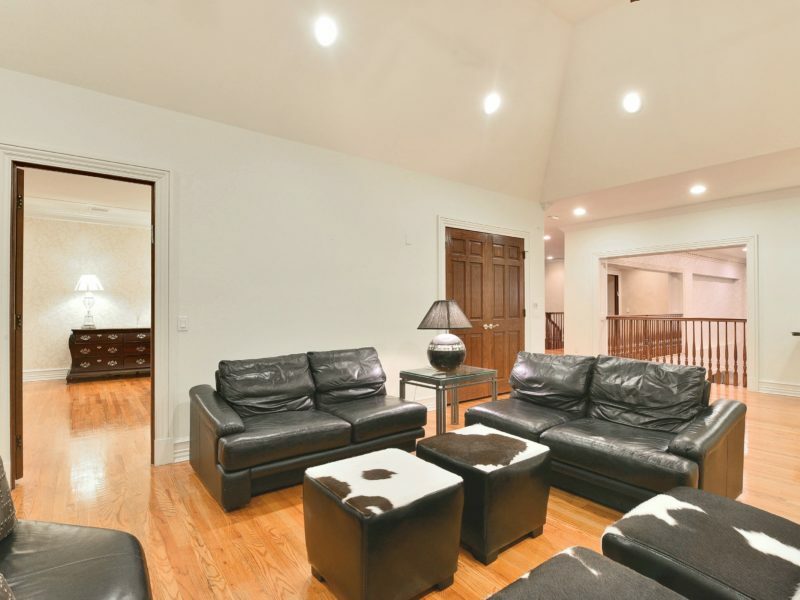 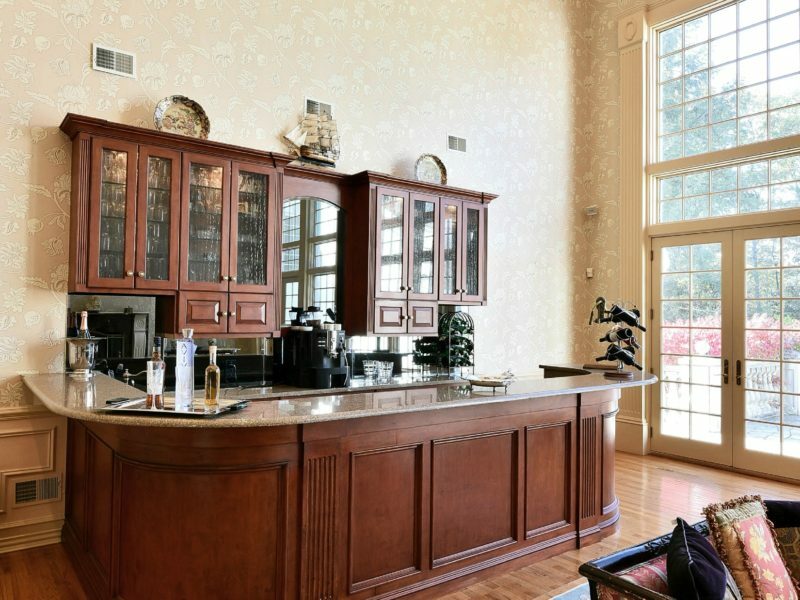 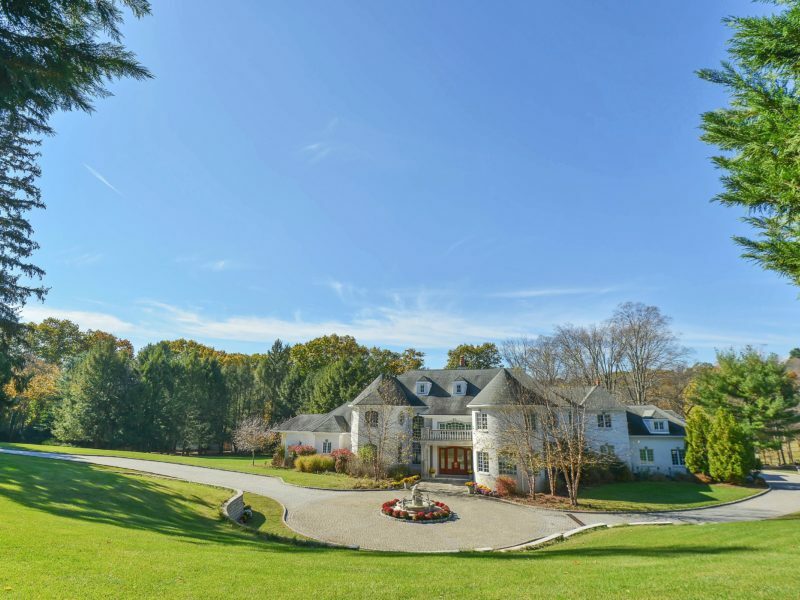 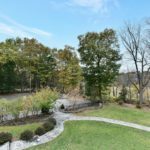 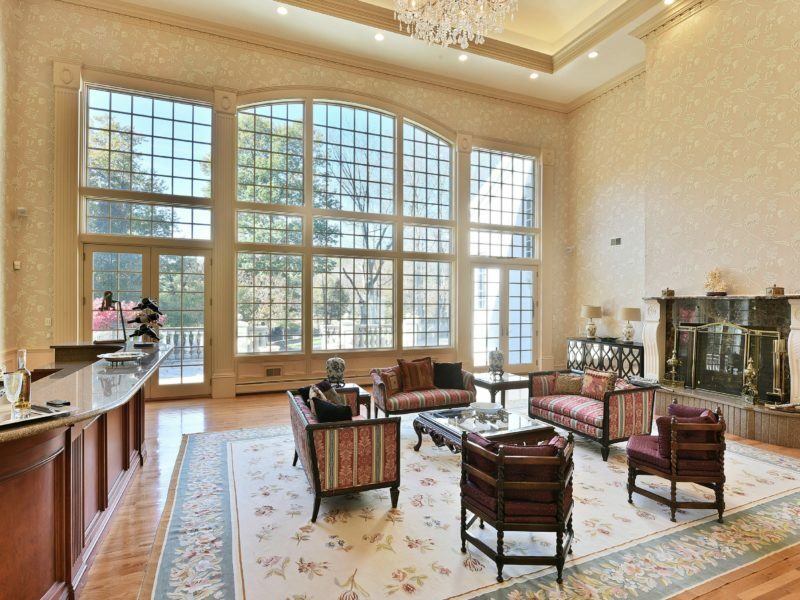 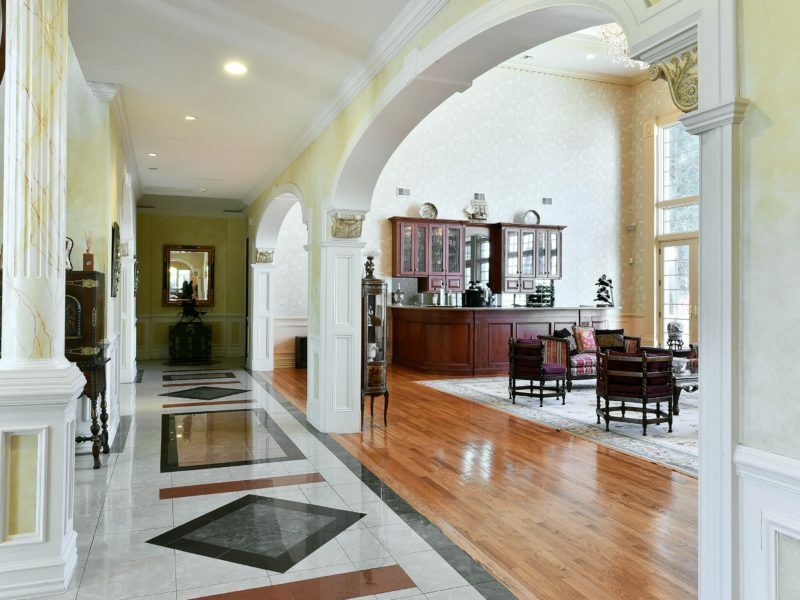 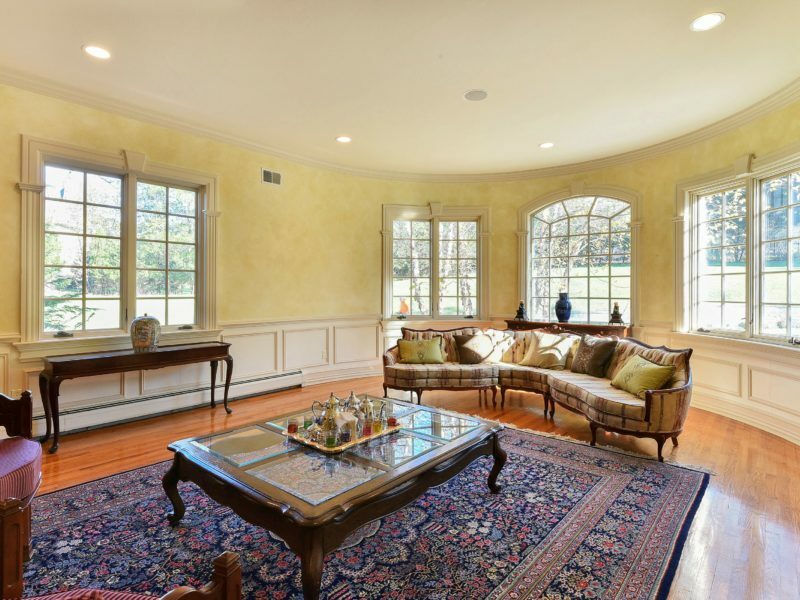 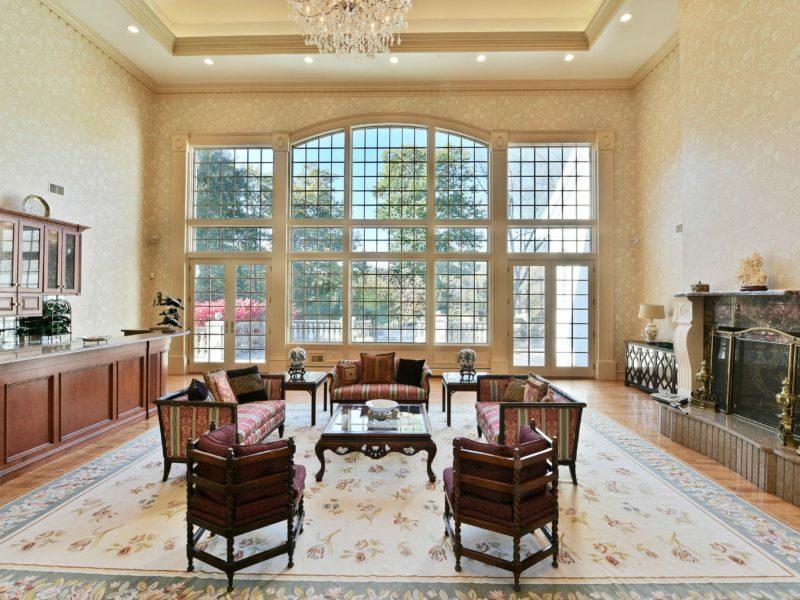 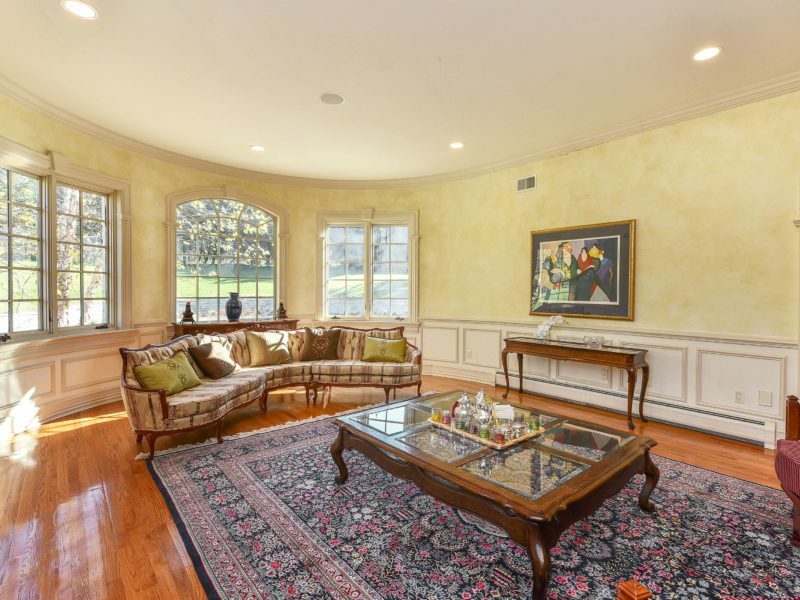 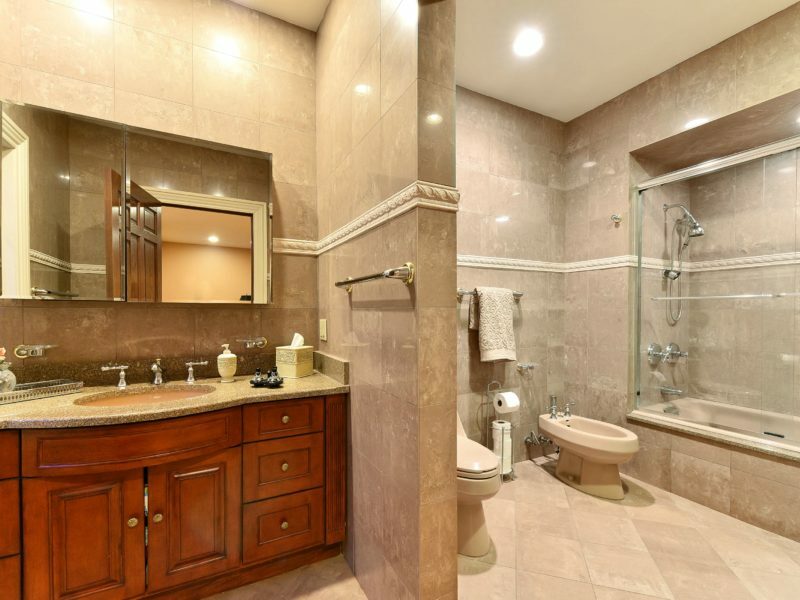 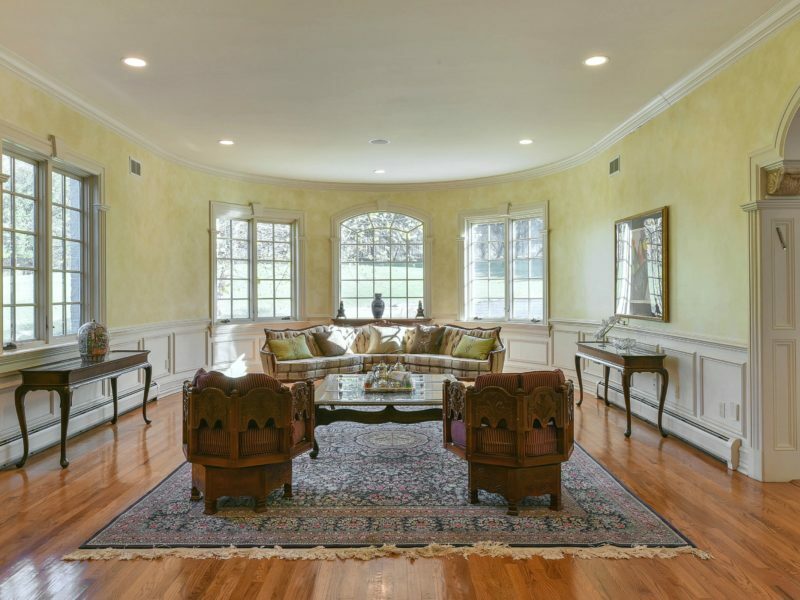 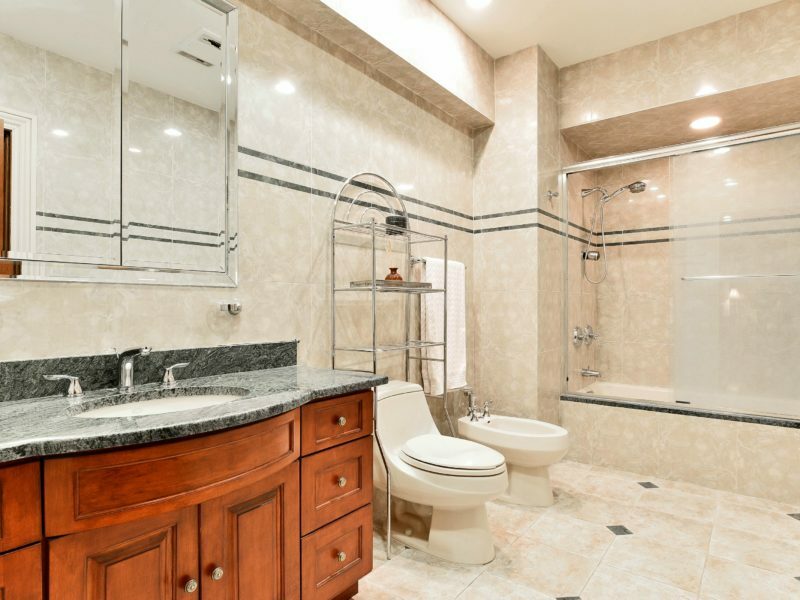 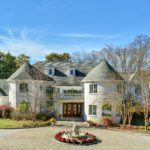 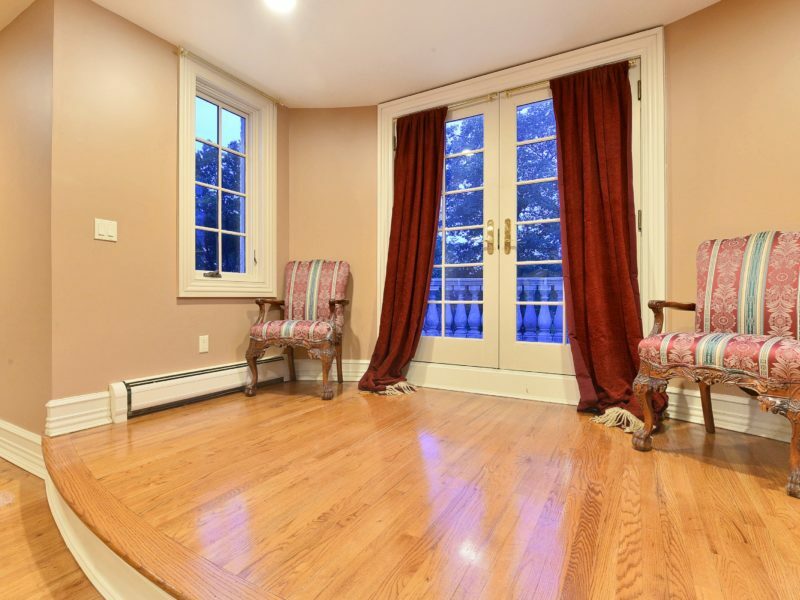 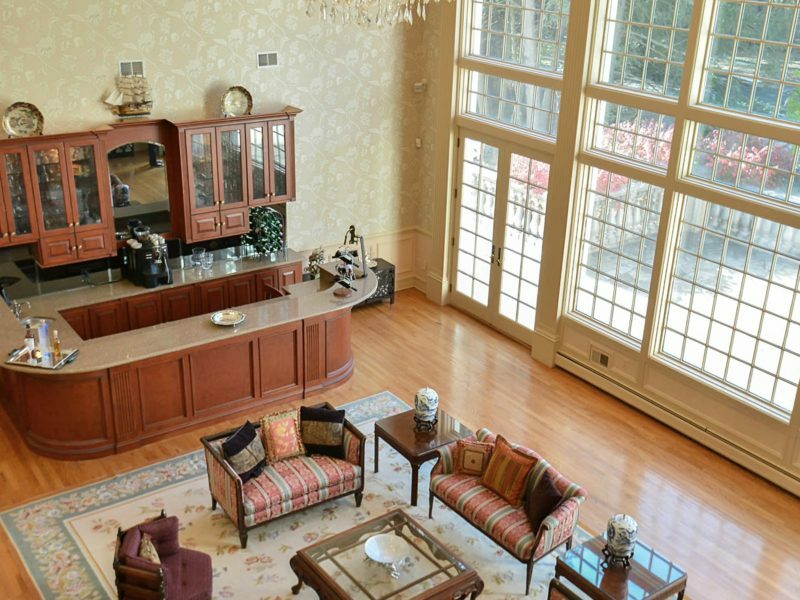 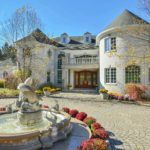 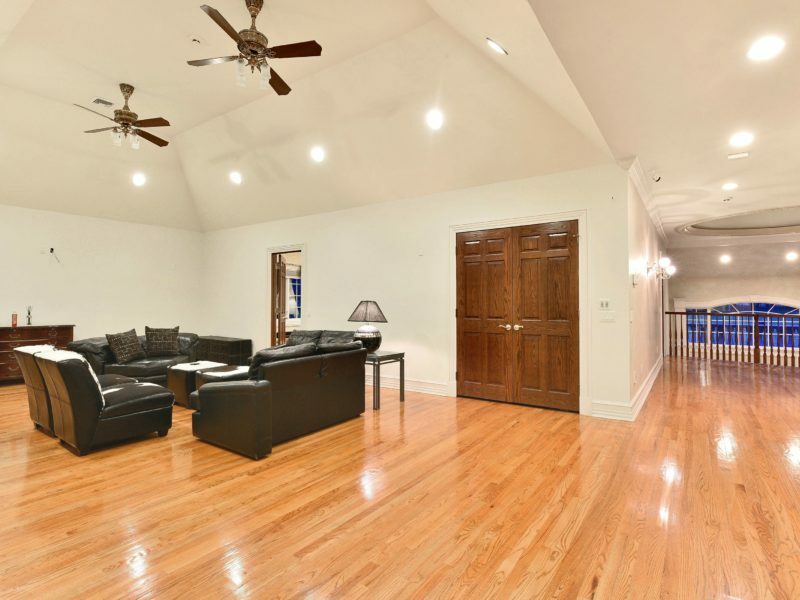 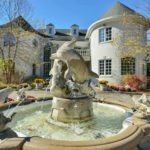 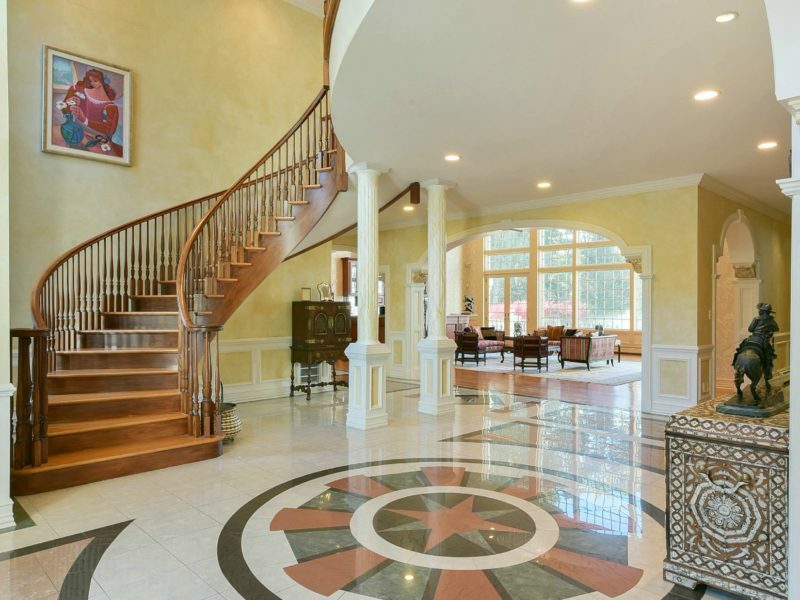 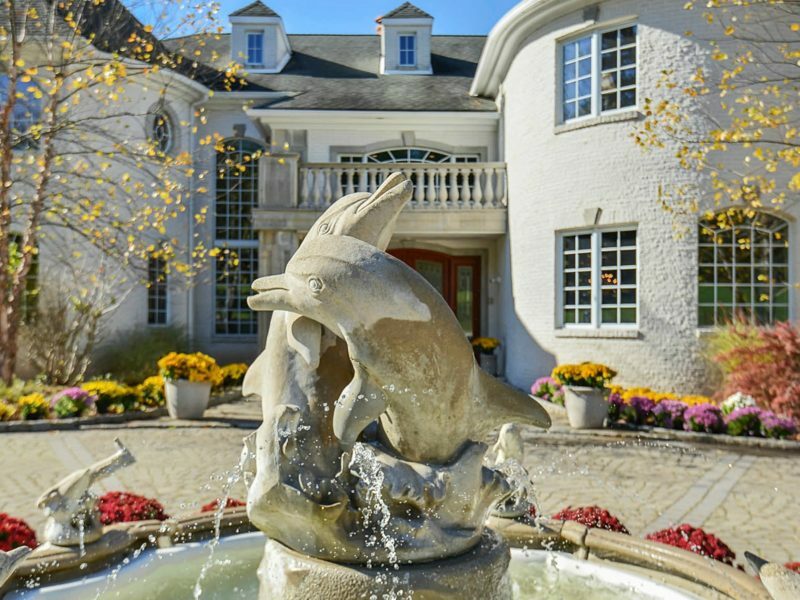 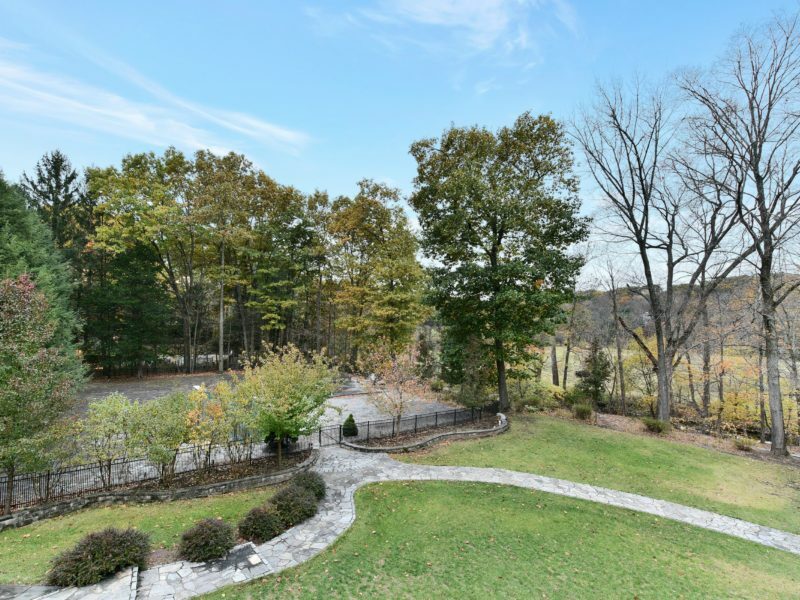 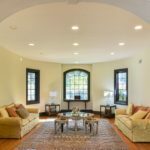 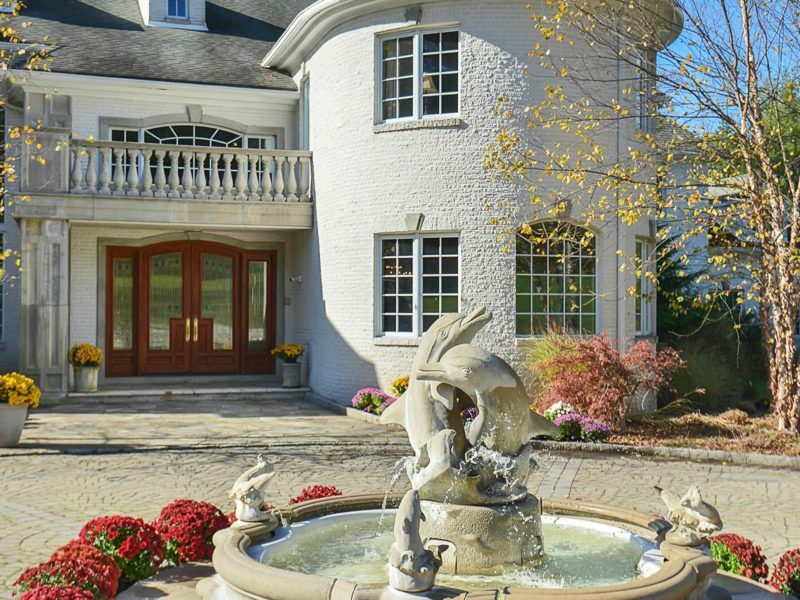 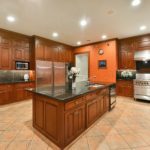 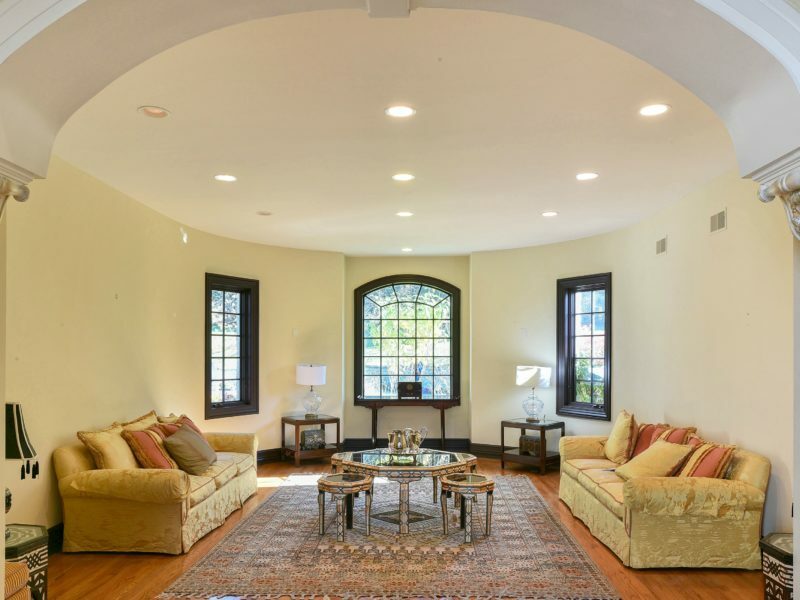 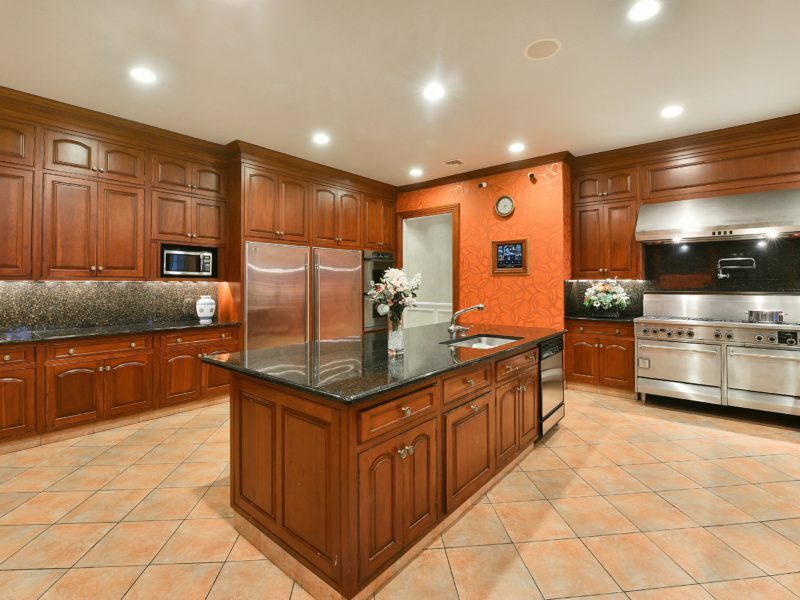 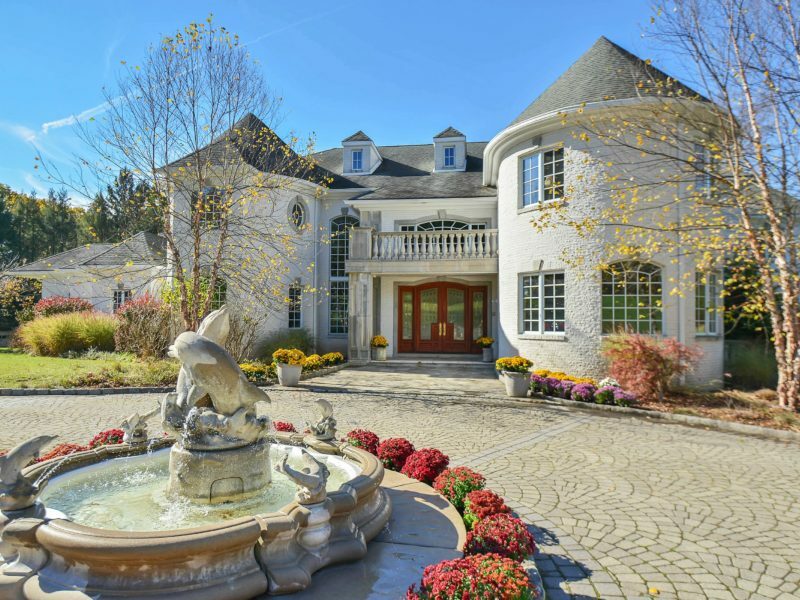 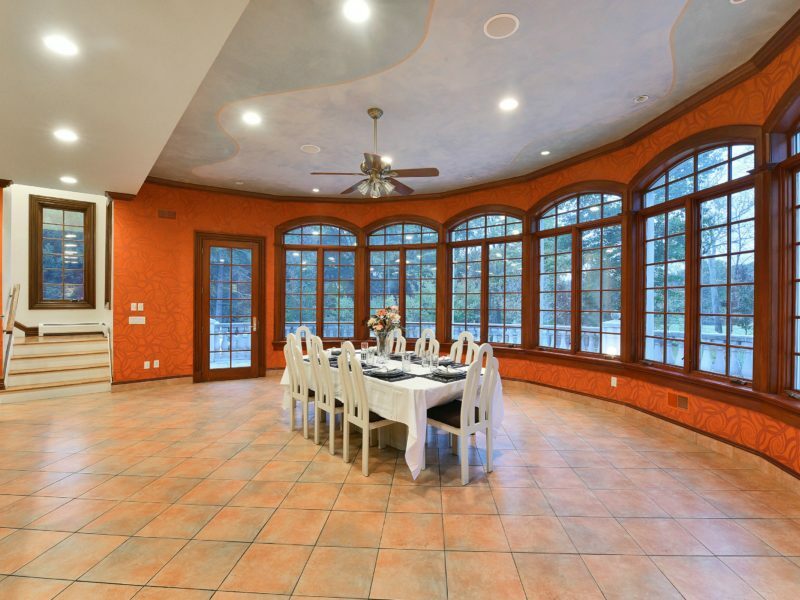 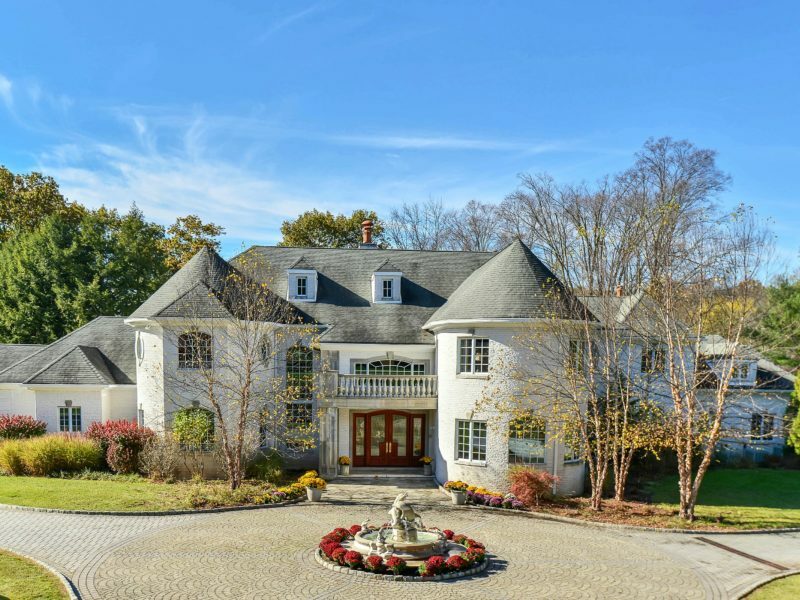 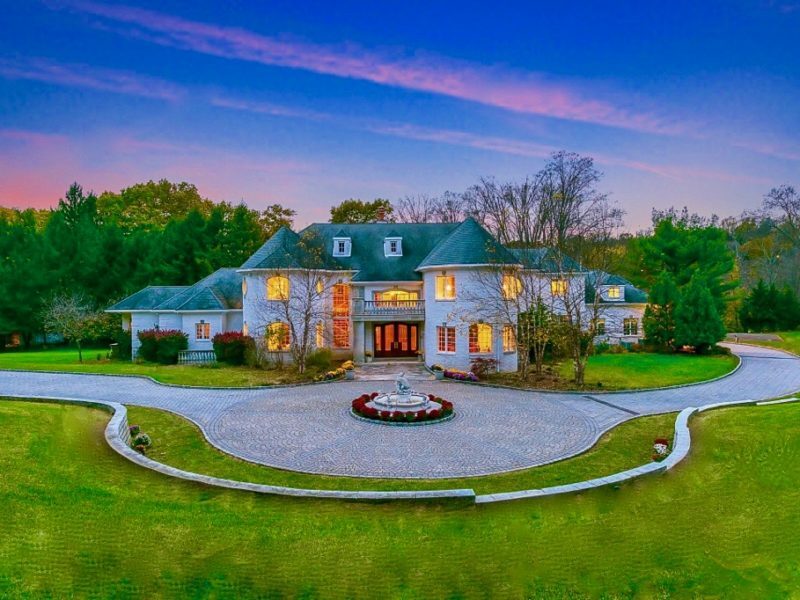 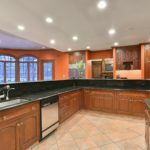 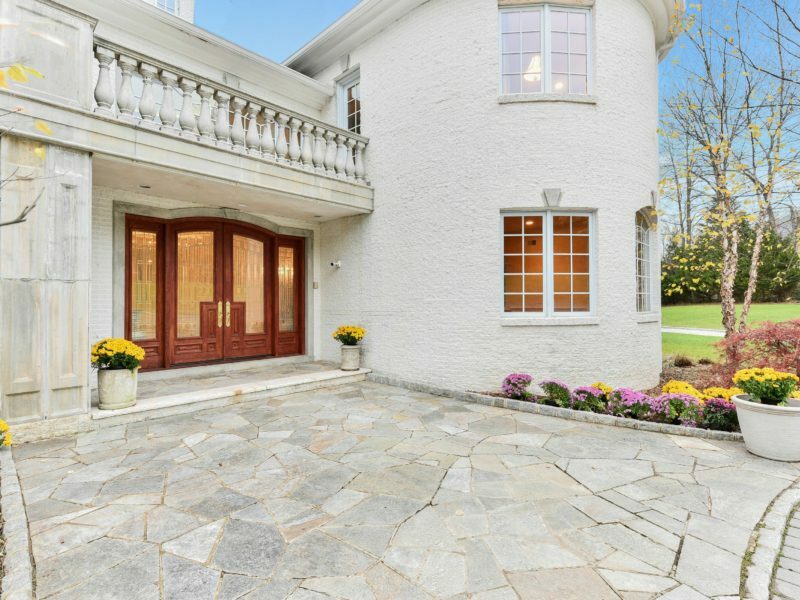 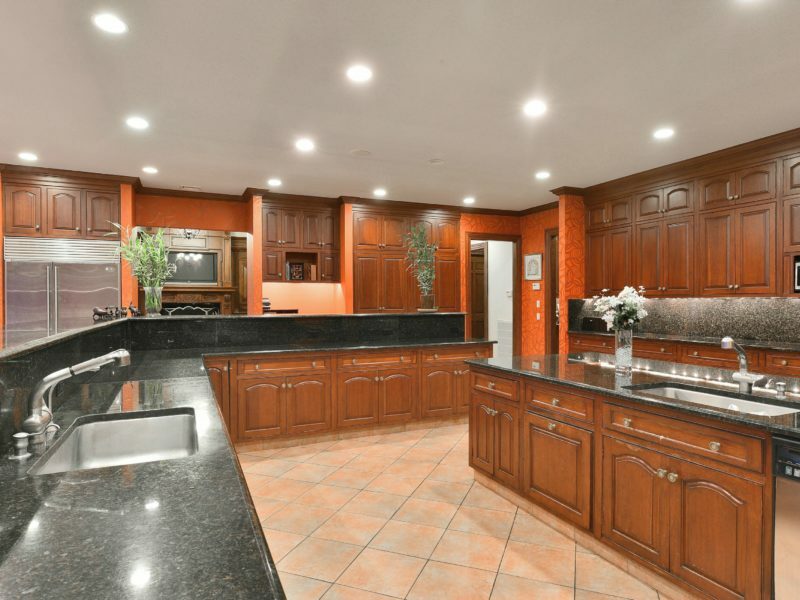 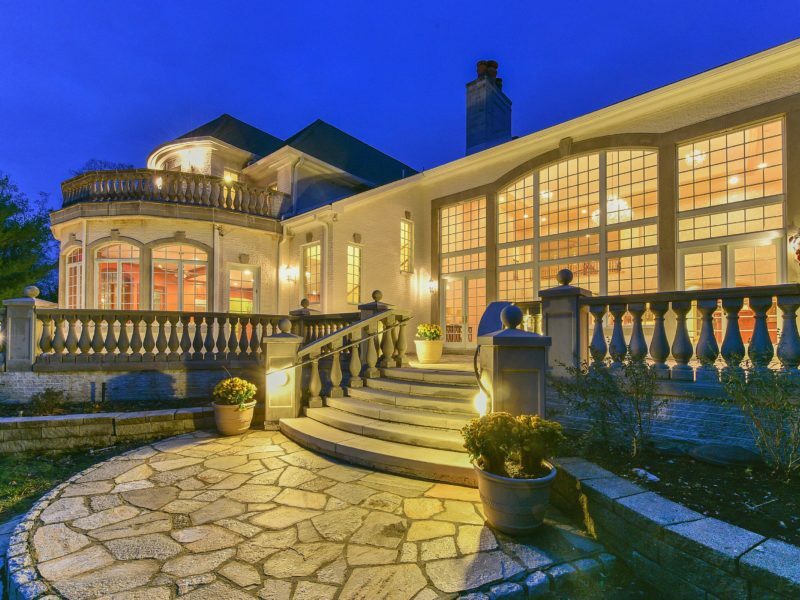 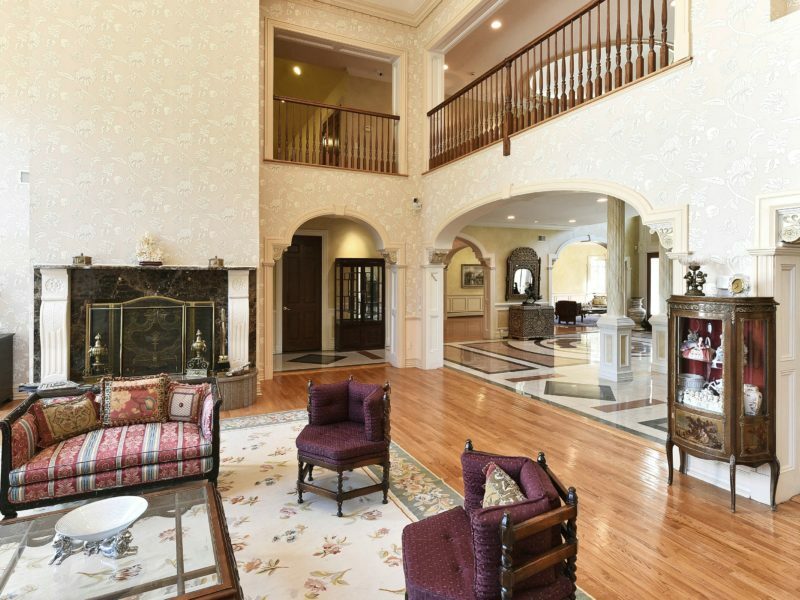 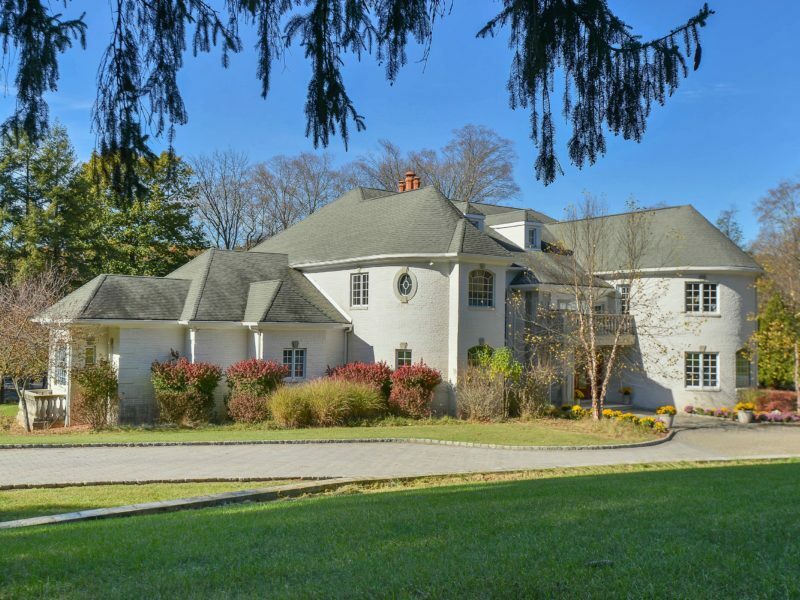 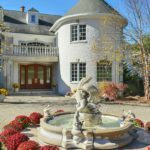 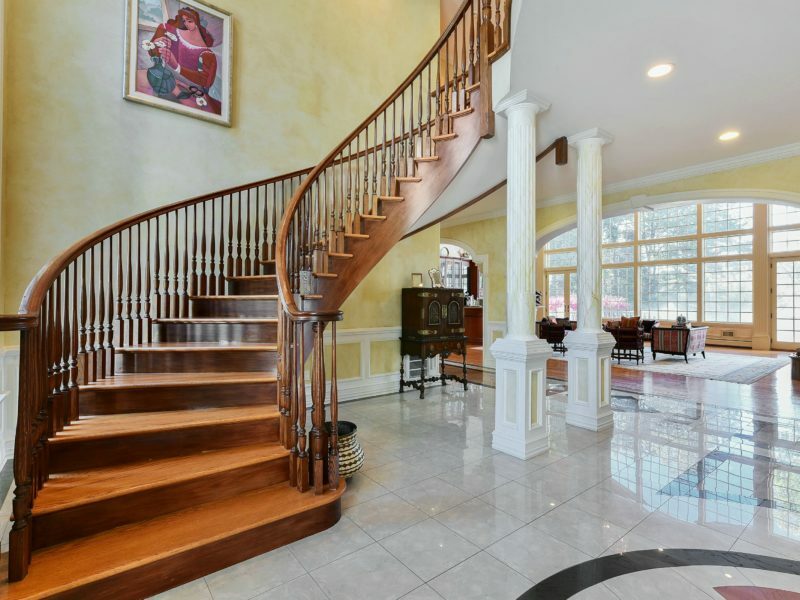 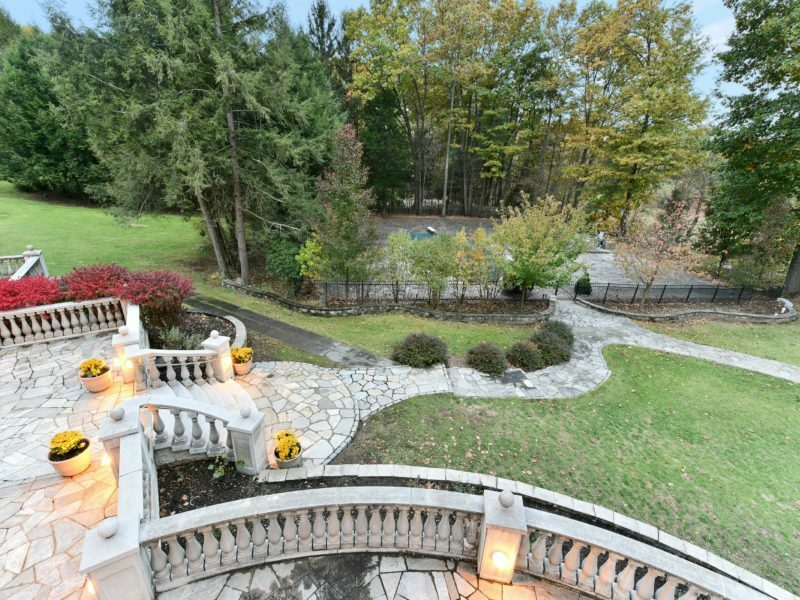 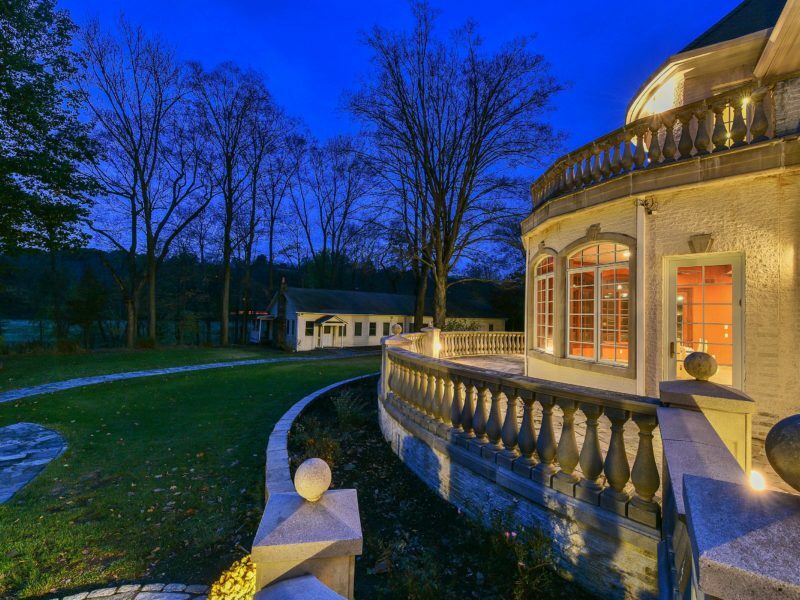 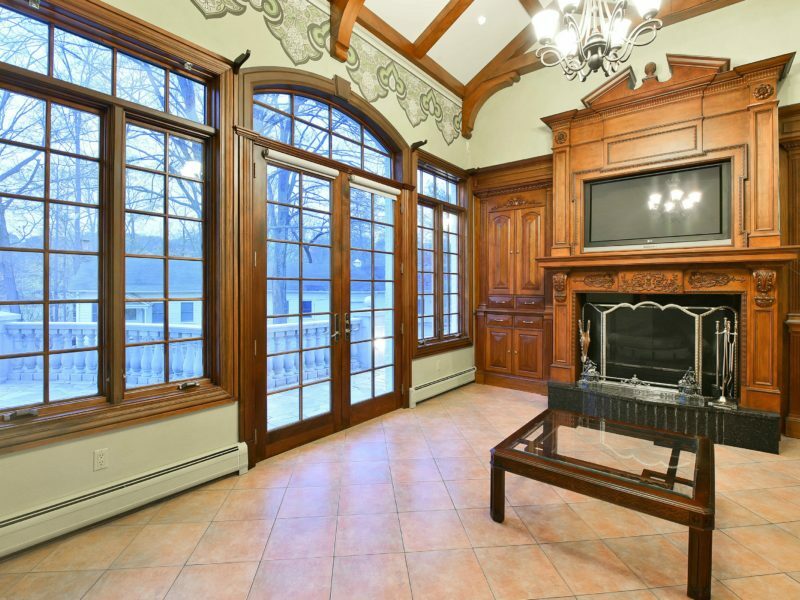 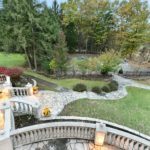 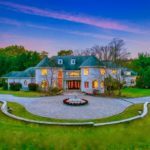 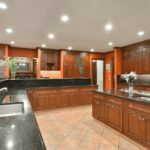 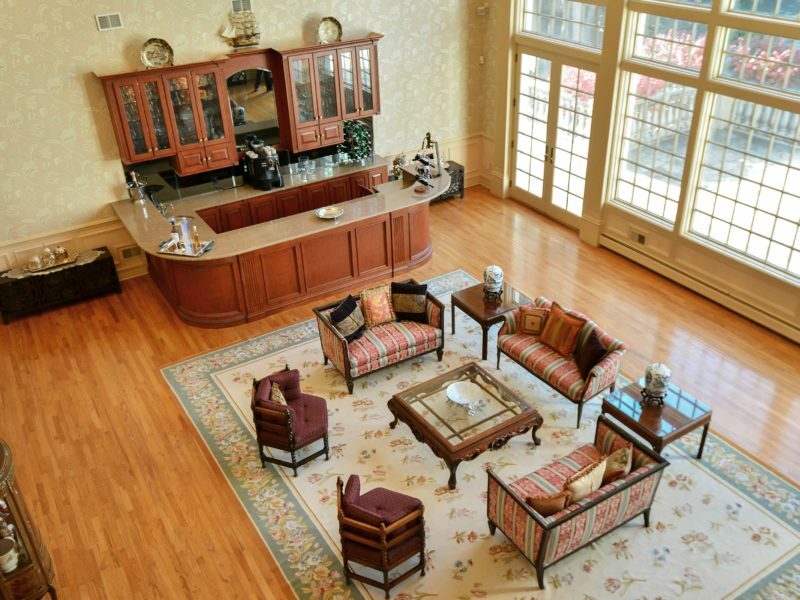 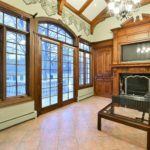 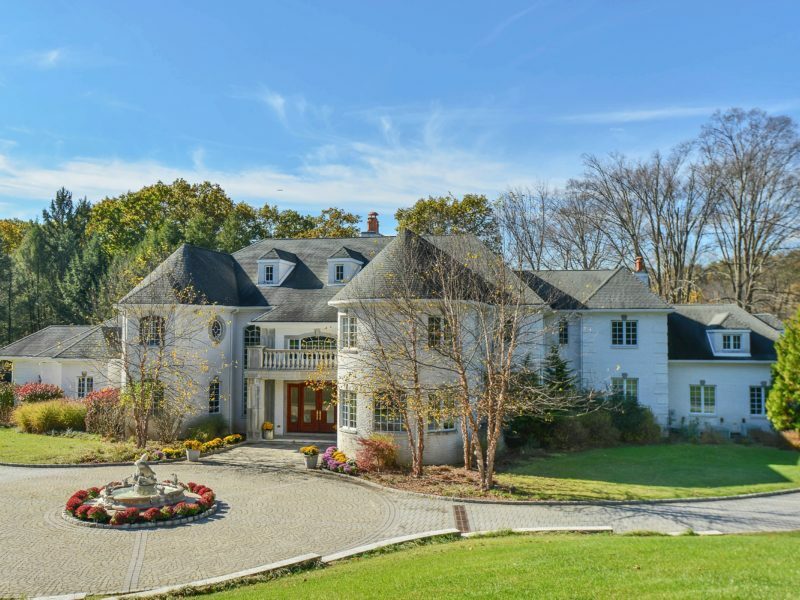 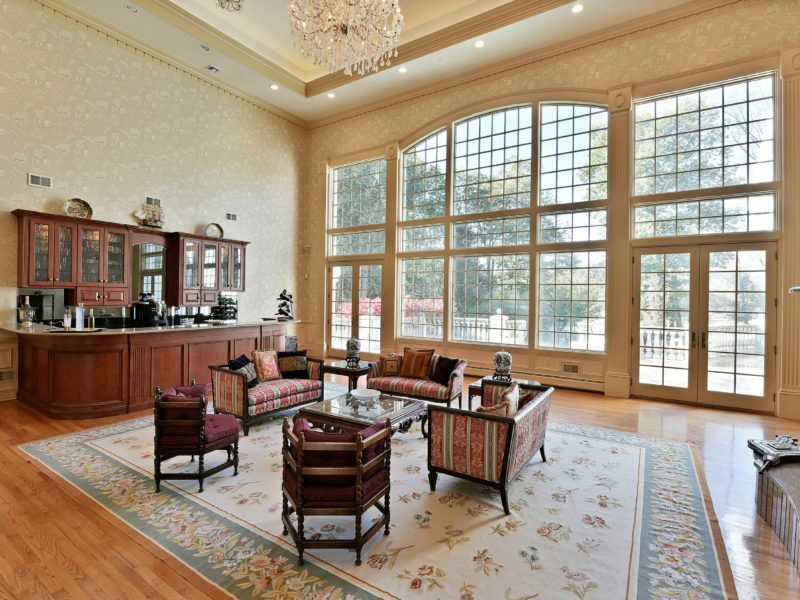 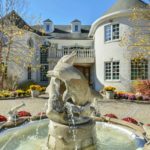 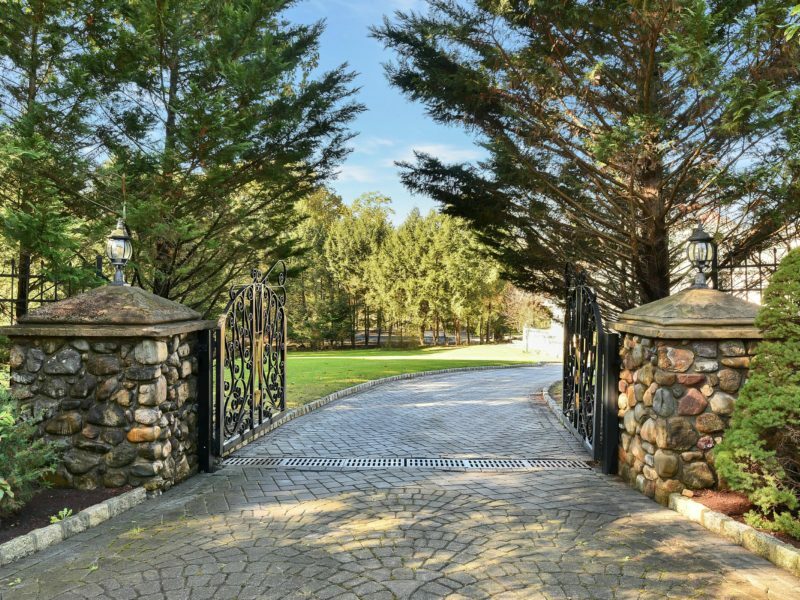 Situated on over 5 acres of meticulously manicured grounds and located in the most desirable section of Saddle River. 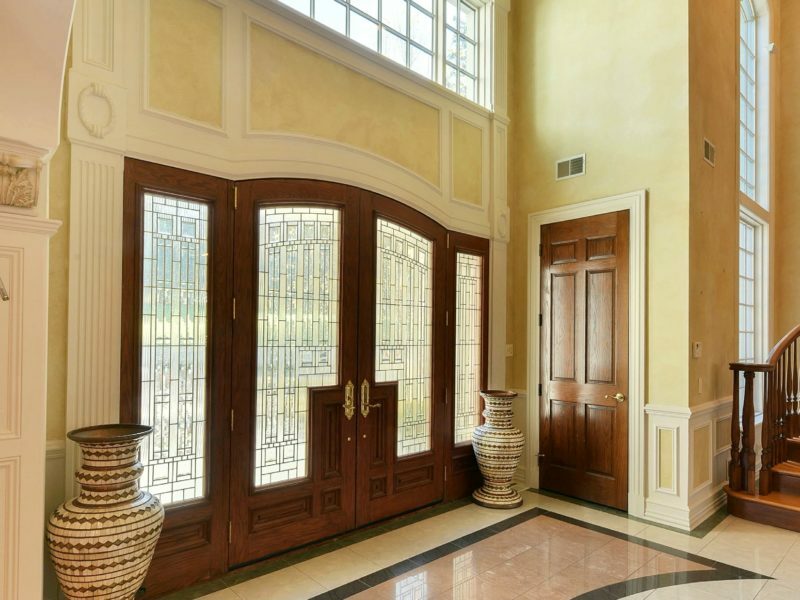 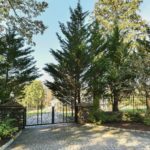 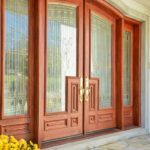 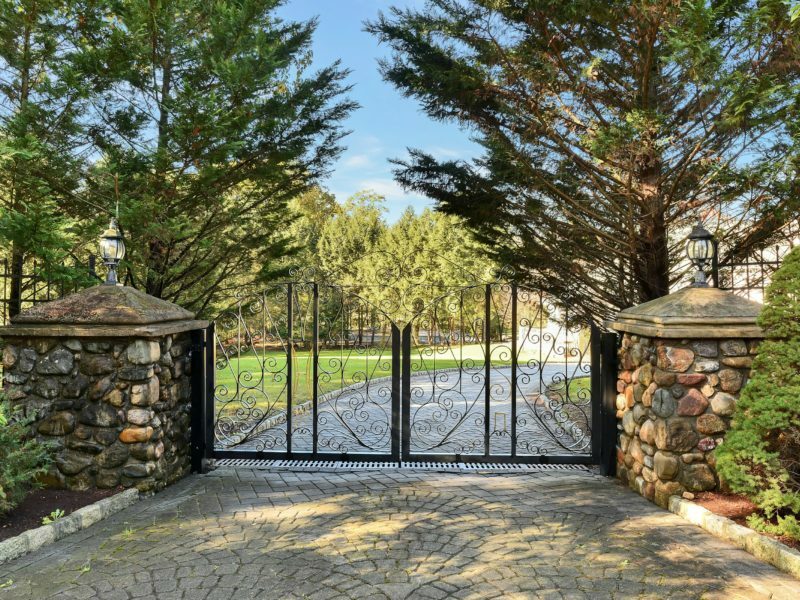 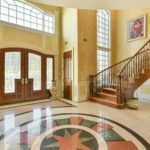 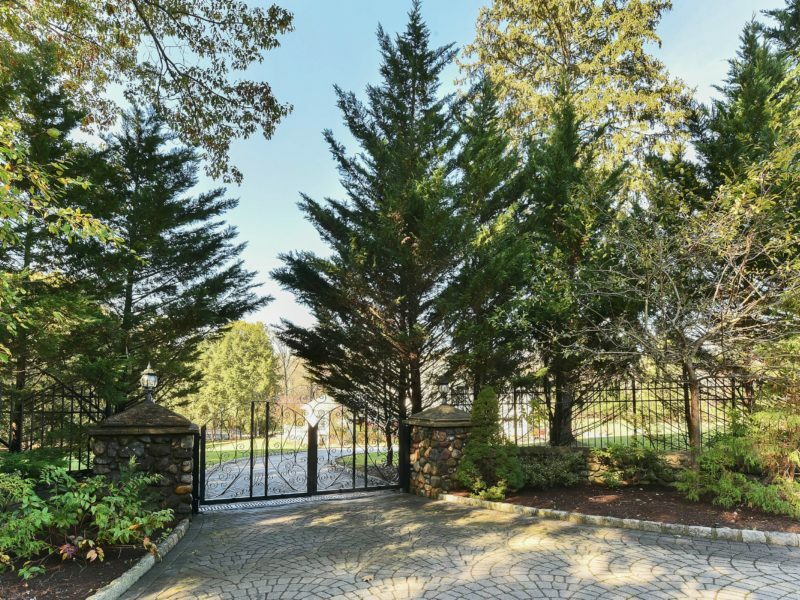 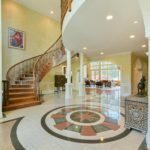 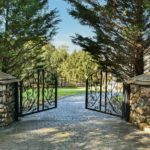 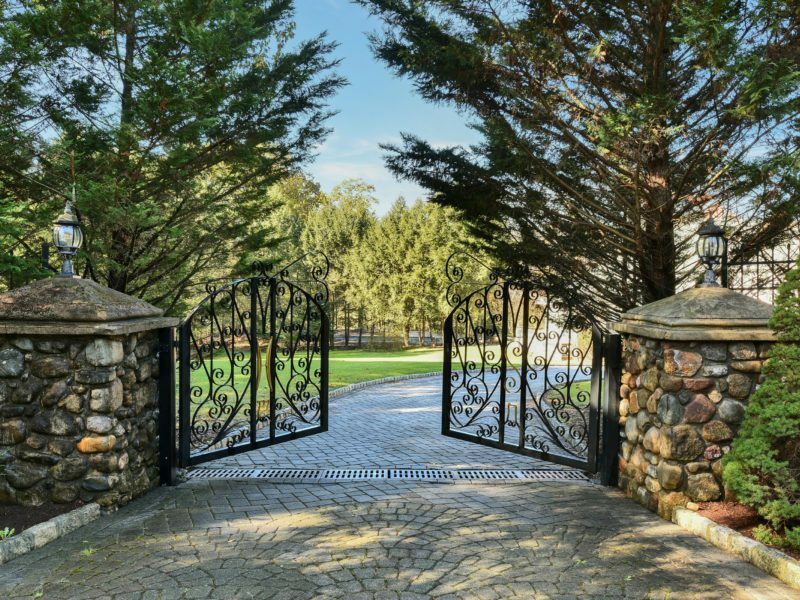 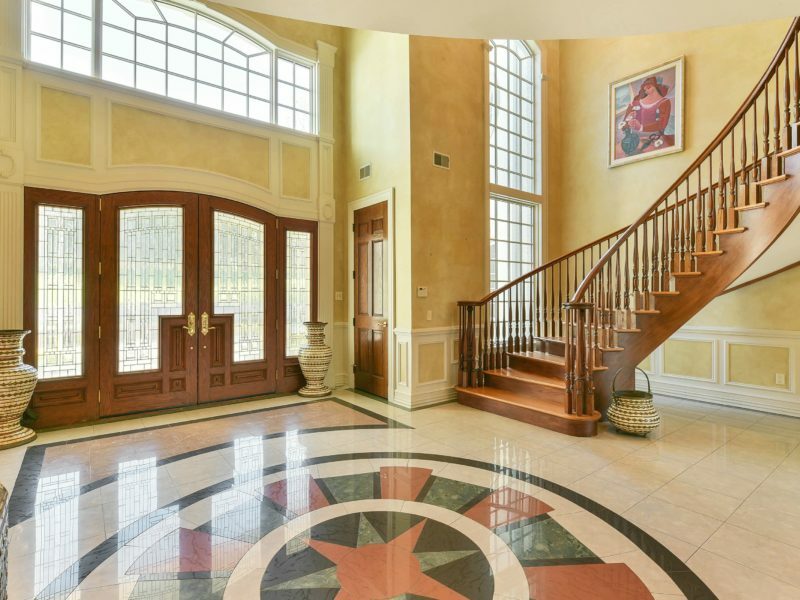 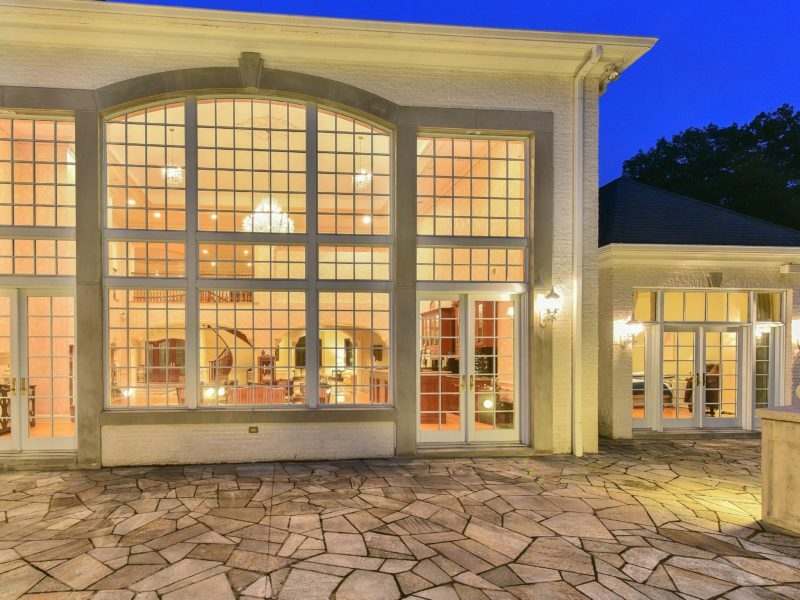 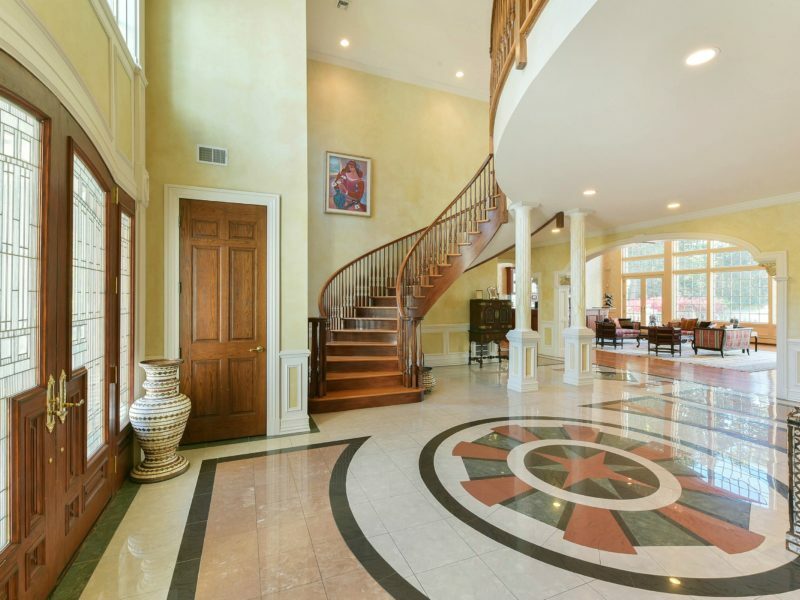 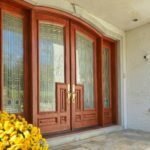 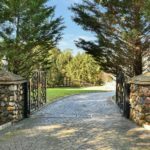 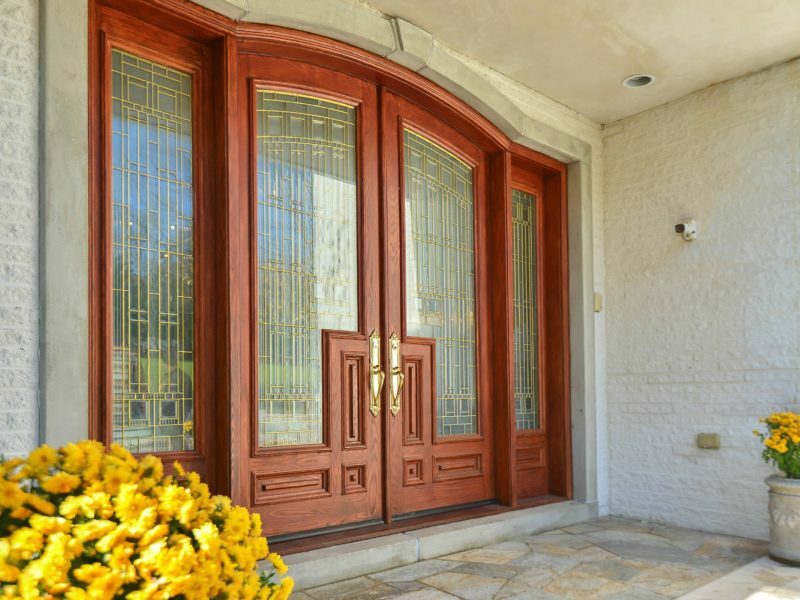 The Saddle River borders this gated private estate making this the perfect home for someone who enjoys their privacy. 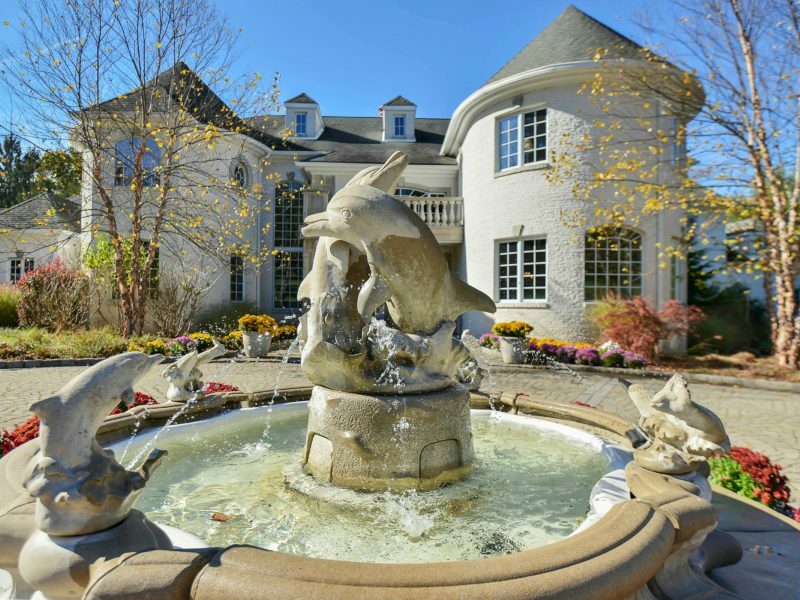 Surrounded by the peaceful elements of nature including tranquil ponds ideal for fishing and boating, palatial paths and walk-ways, an in-ground heated swimming pool, separate carriage house and a renovated antique mill house perfect for your out of town guests. 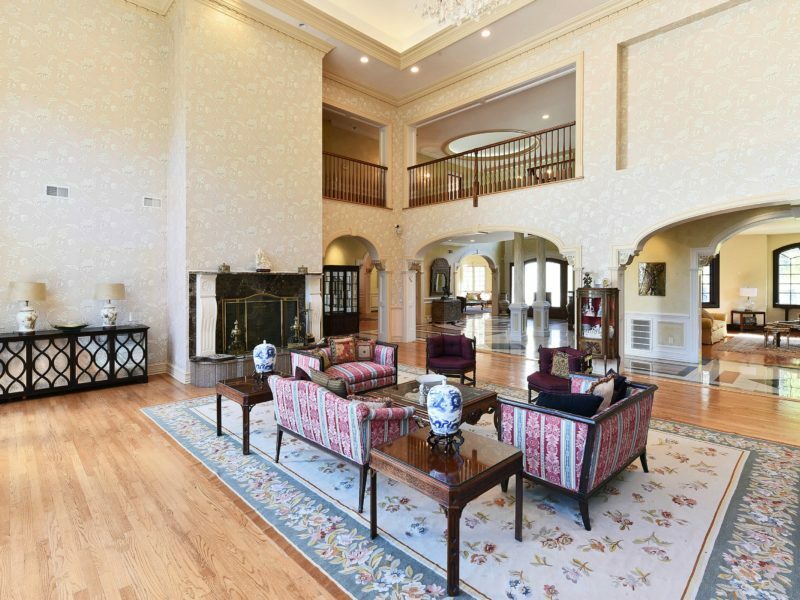 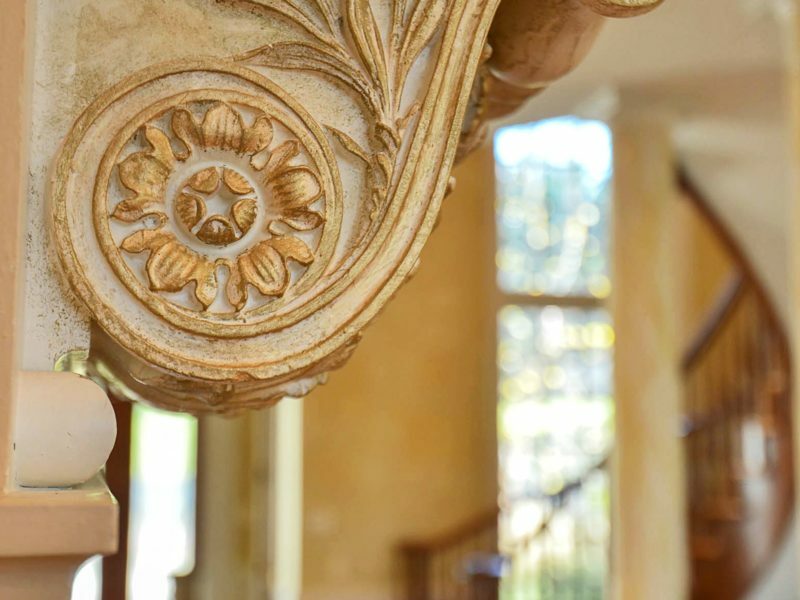 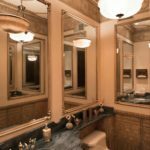 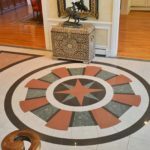 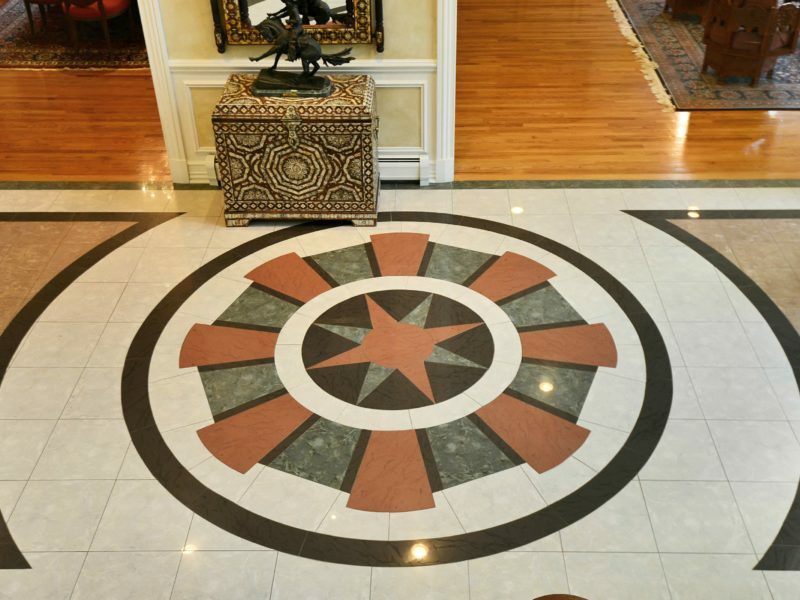 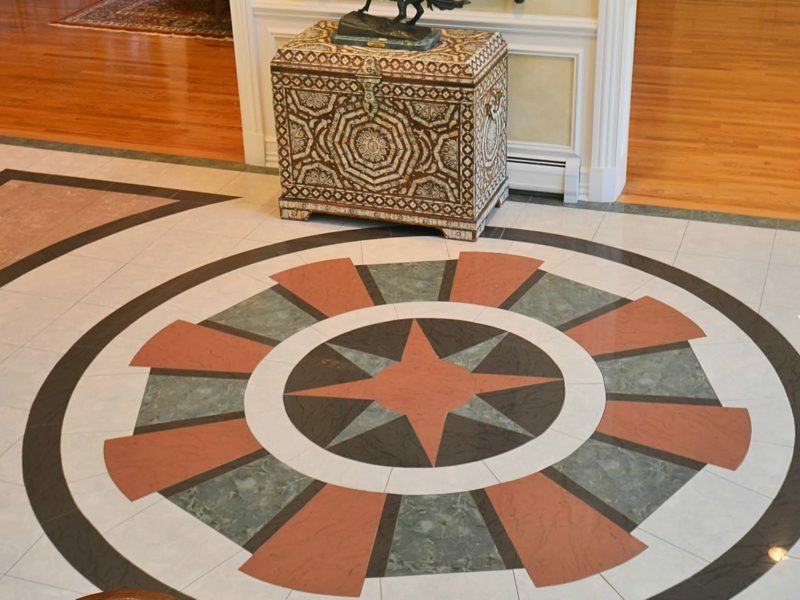 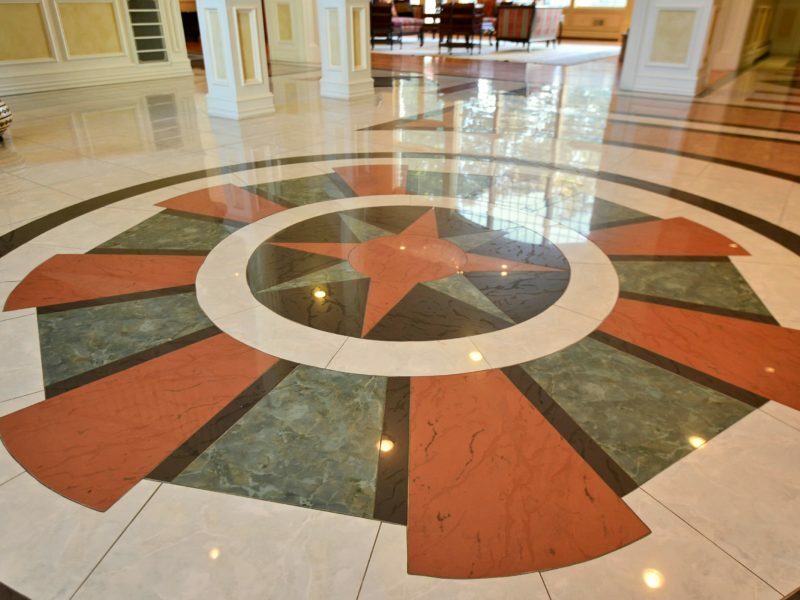 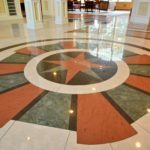 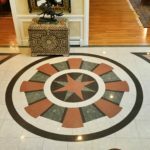 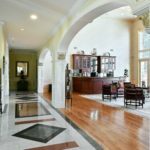 The main house features approximately 18,000 square feet of grandiose living. 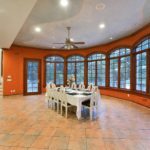 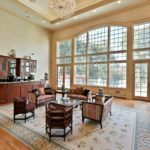 The great room boasts a full wall of glass windows, magnificent fireplace, full-size custom built wet bar and French doors leading to one of the many natural stone patios. 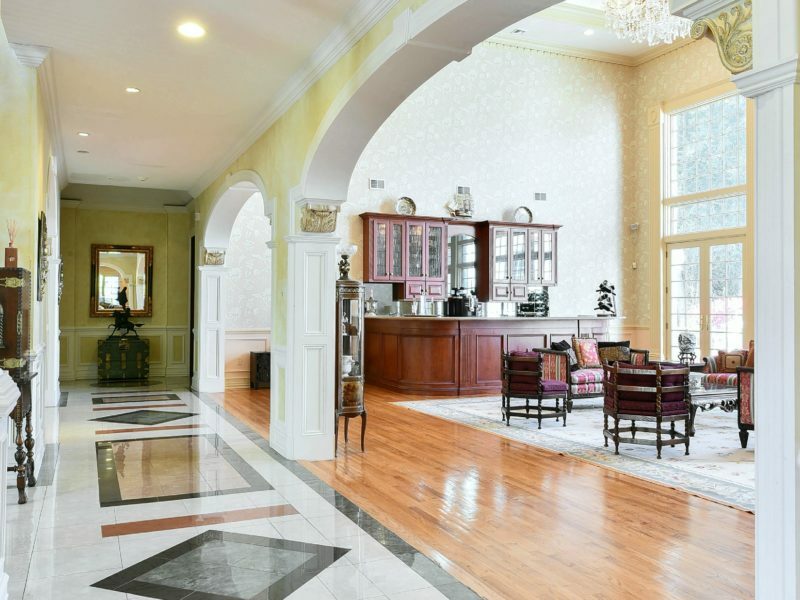 This home is perfect for entertaining with its’ banquet sized formal dining room, full butler’s pantry, massive modern eat-in kitchen with over-sized sunlit breakfast area, two separate formal living rooms and a gorgeous den overlooking the spectacular and private grounds. 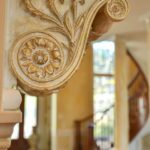 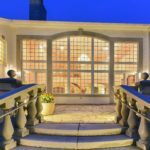 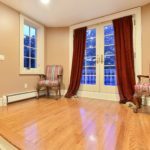 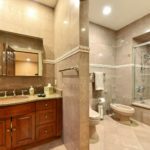 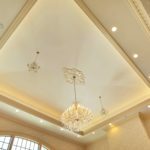 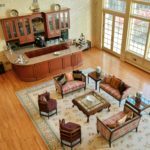 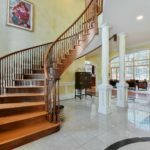 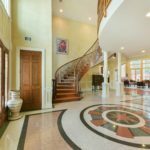 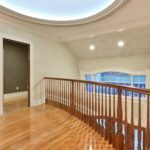 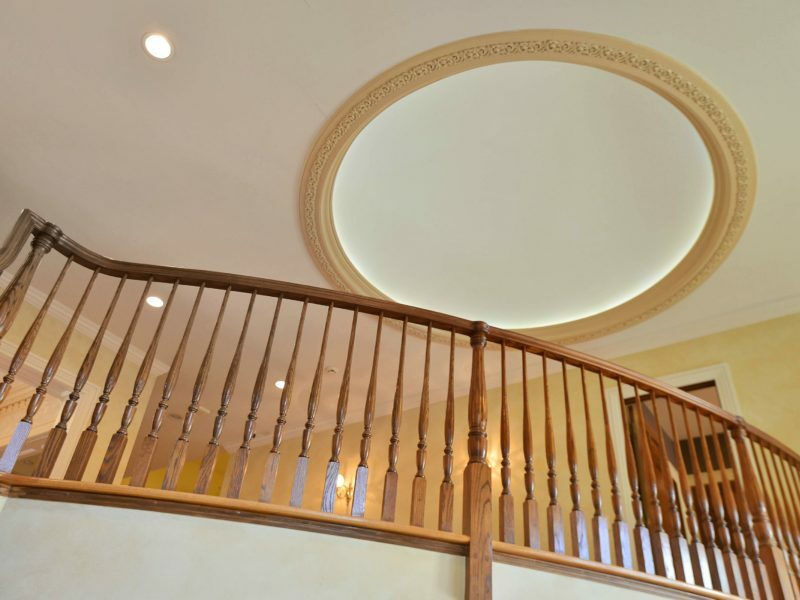 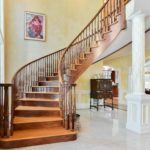 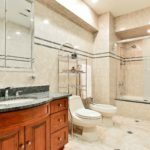 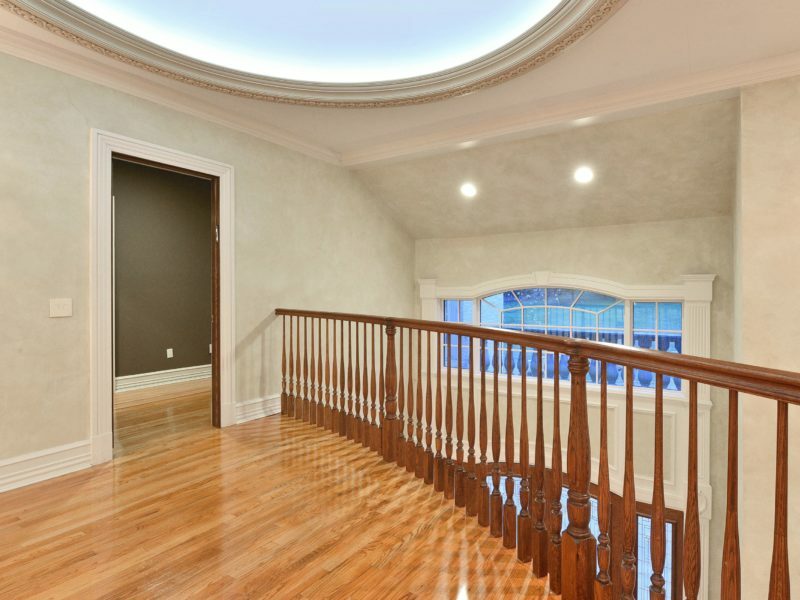 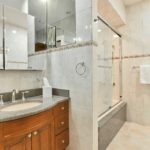 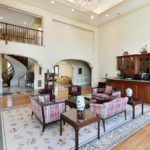 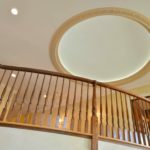 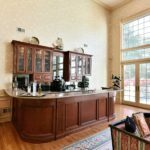 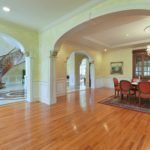 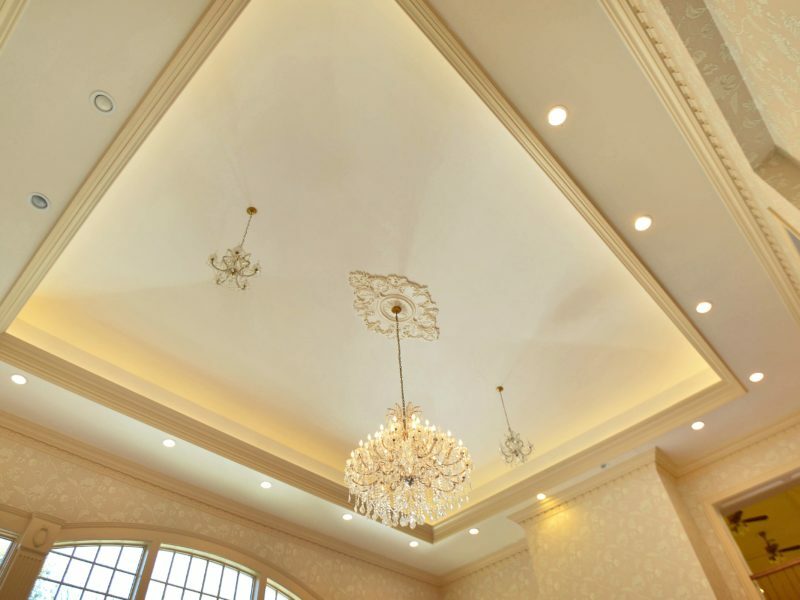 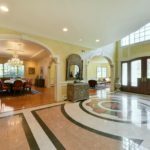 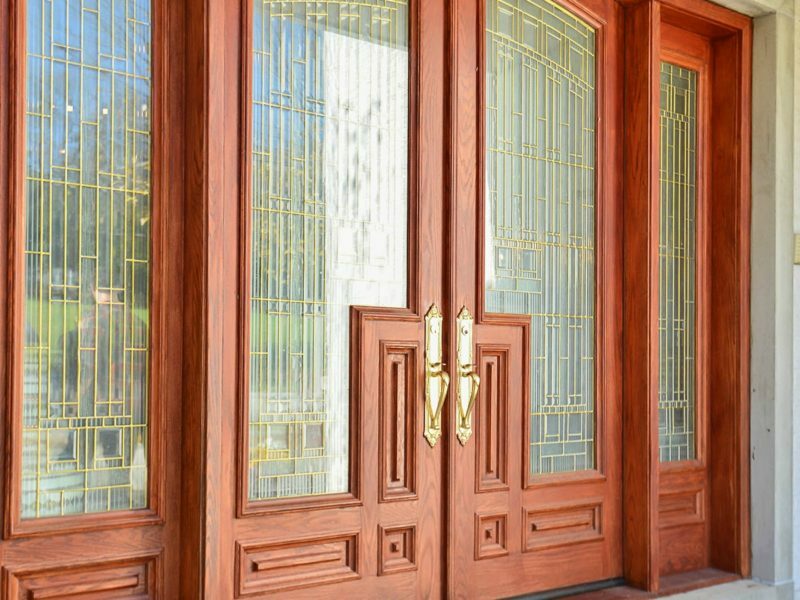 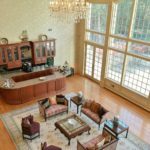 This home features two master bedroom suites one situated on the main level and the other is located up the impressive bridal staircase on the second level. 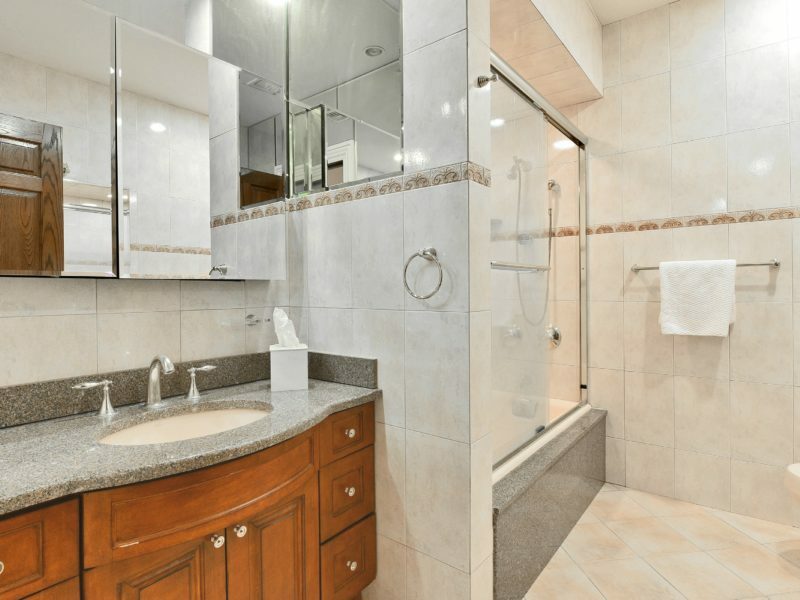 Each of the 7 bedrooms feature spacious walk-in closets and each are accompanied by their own ensuite bathrooms. 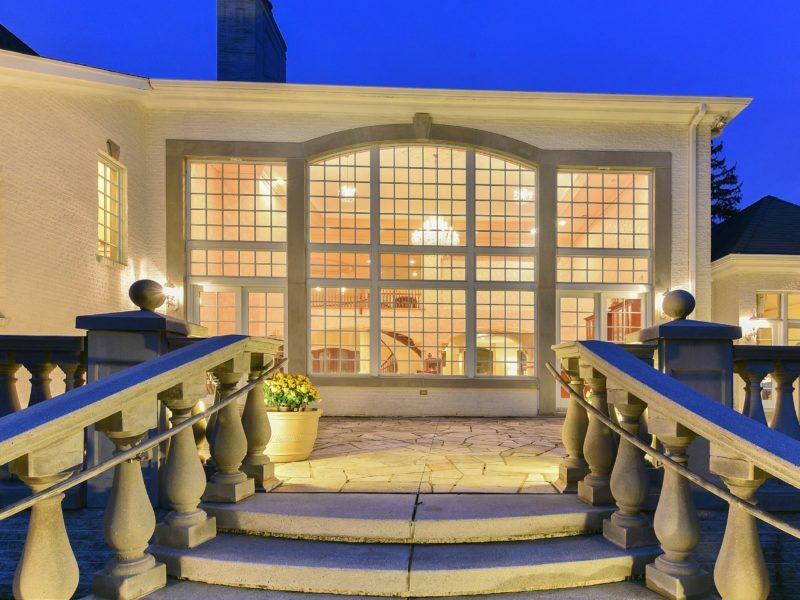 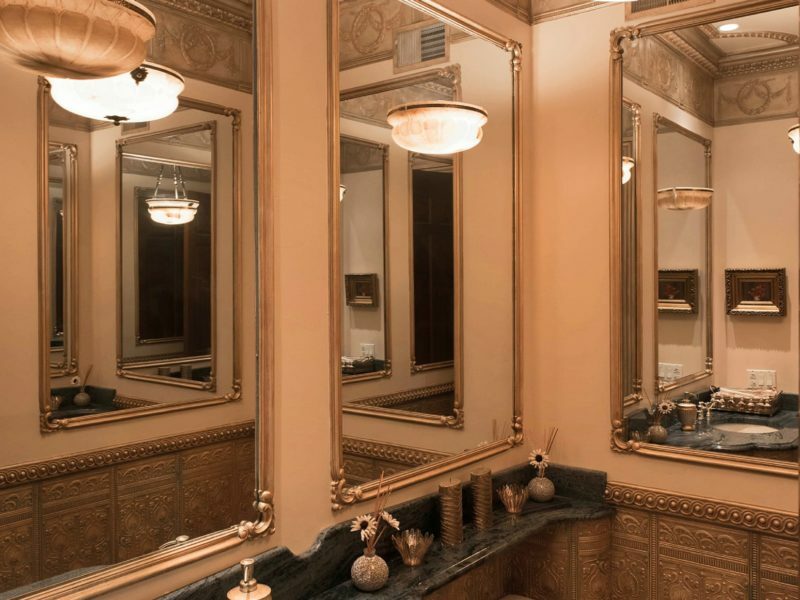 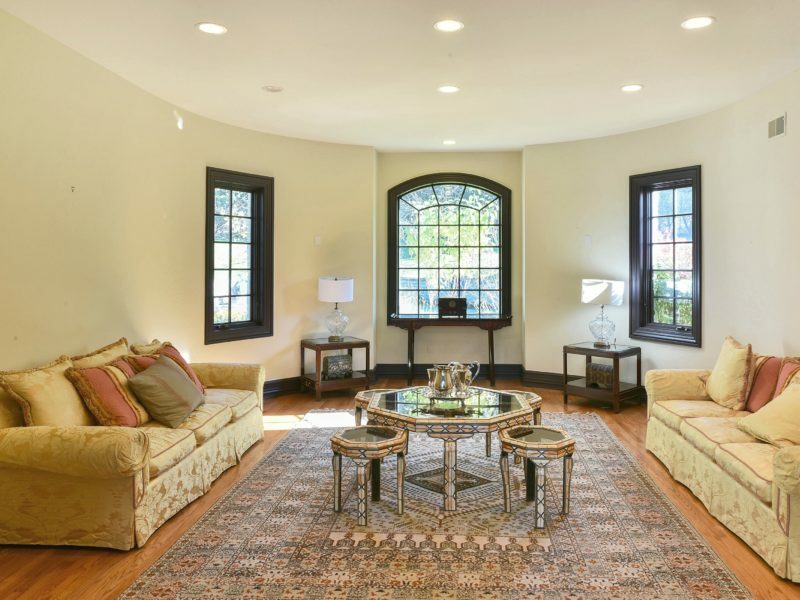 This estate is truly a must see for the most sophisticated buyers.